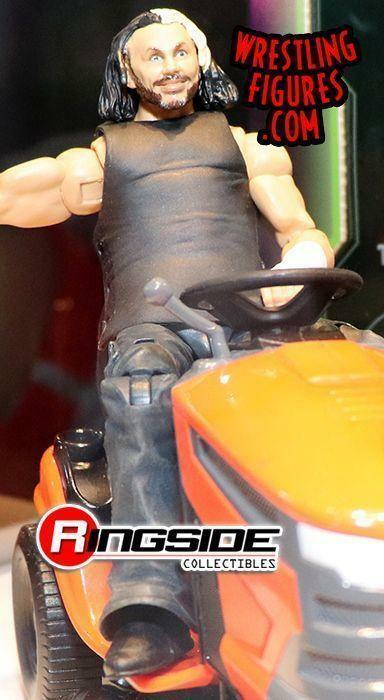 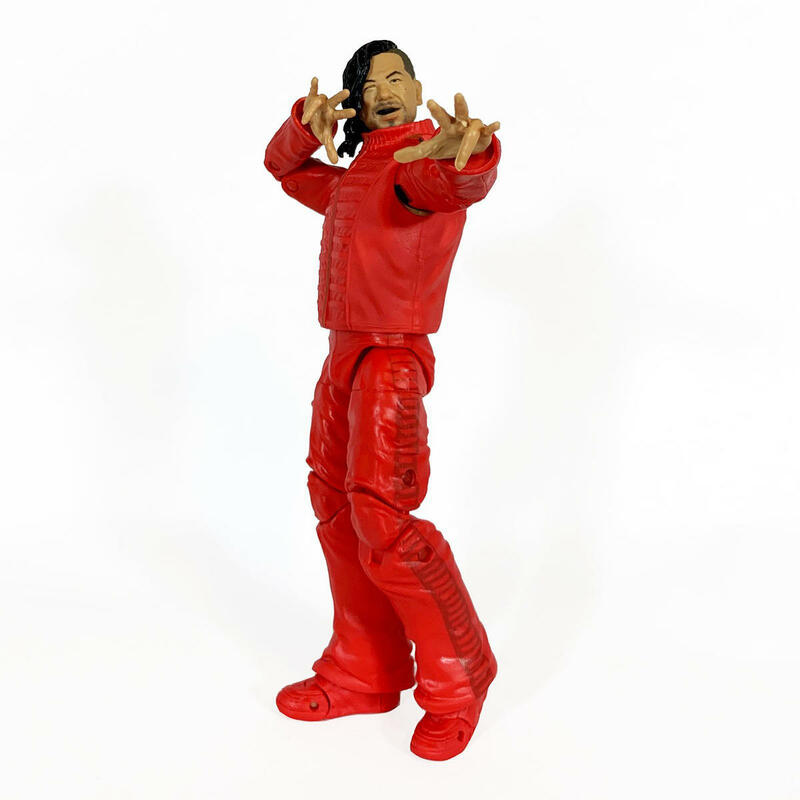 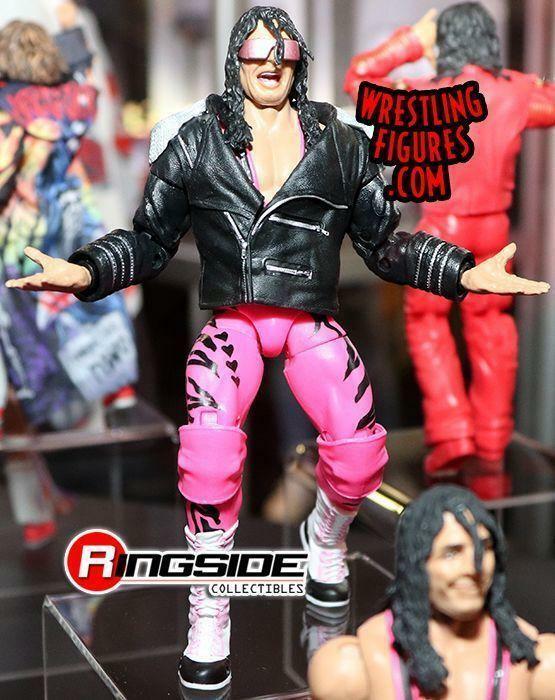 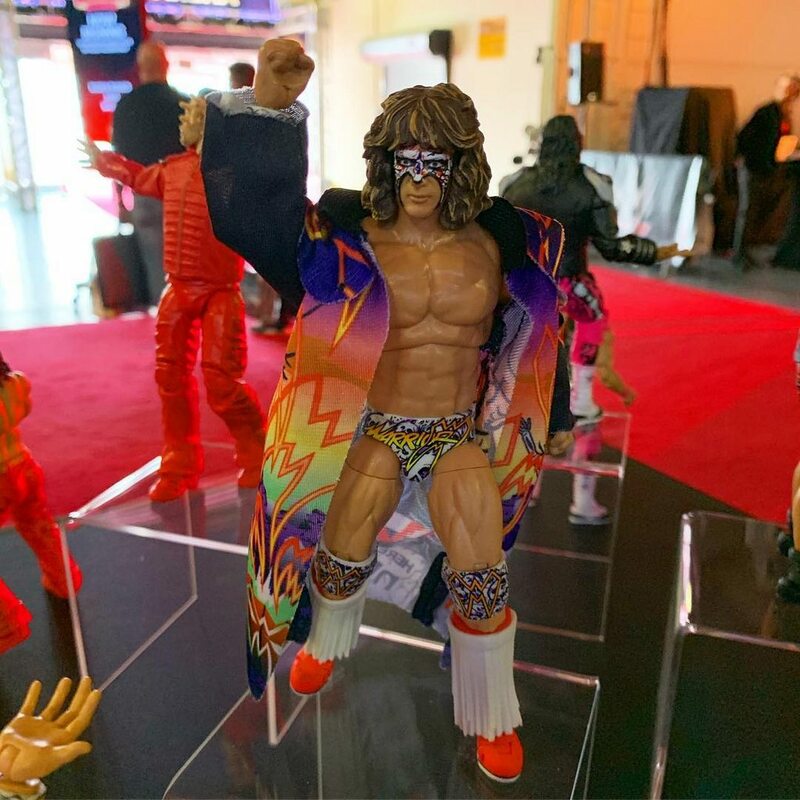 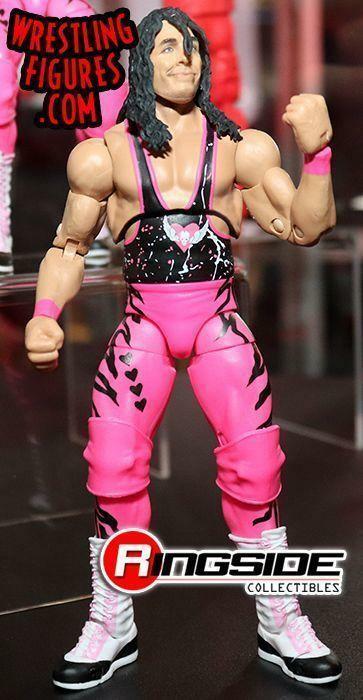 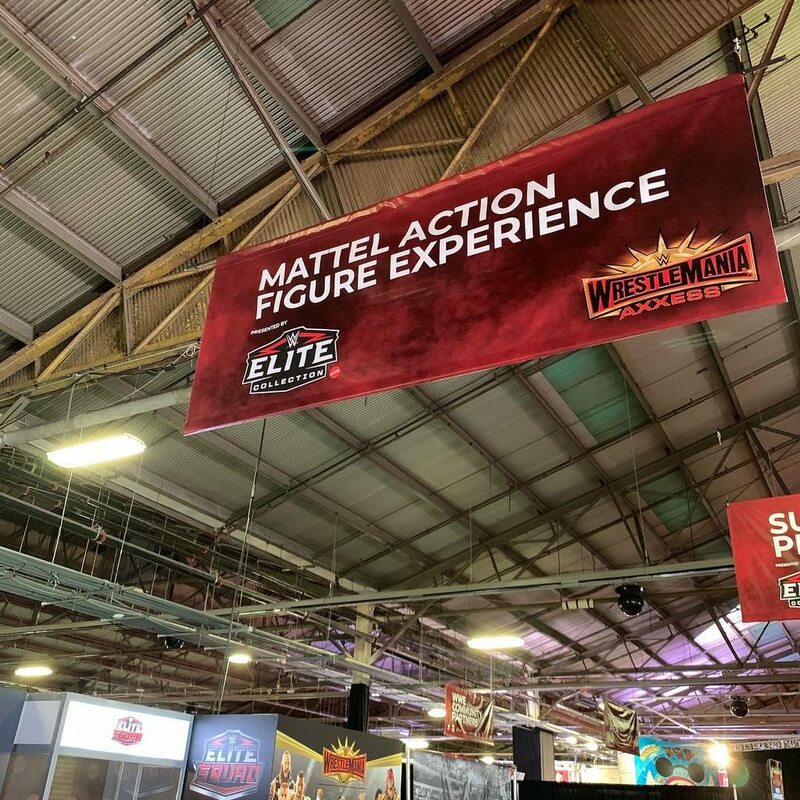 WM35 Axxess Mattel WWE Post: Bill Miekina Mattel Q&A Video! 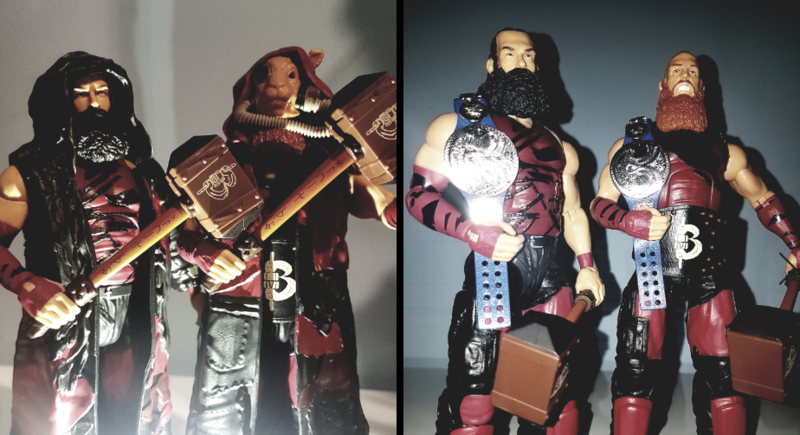 ...but brother, I am bad. 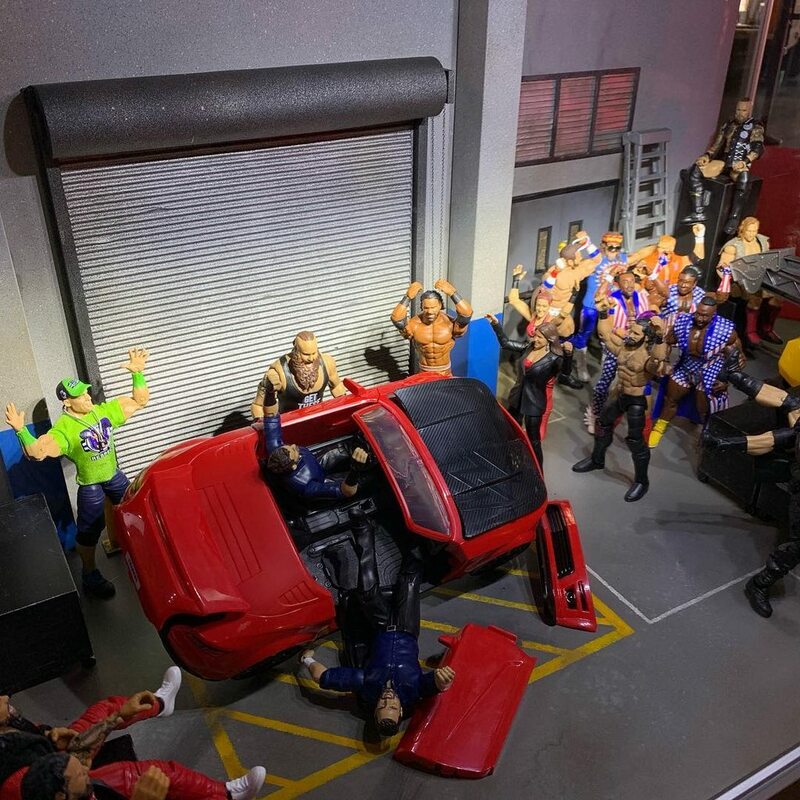 And they know I’m bad. 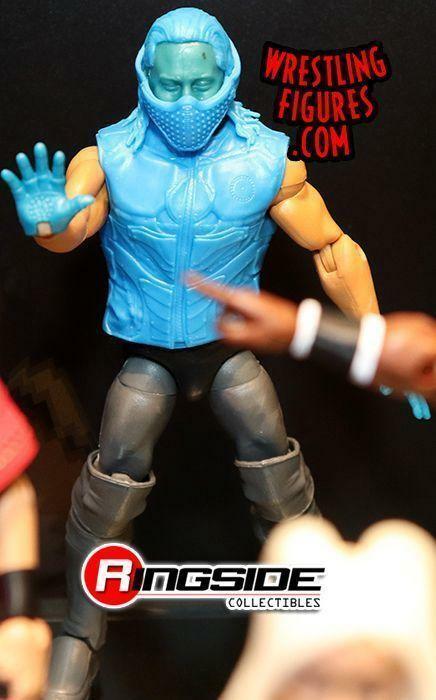 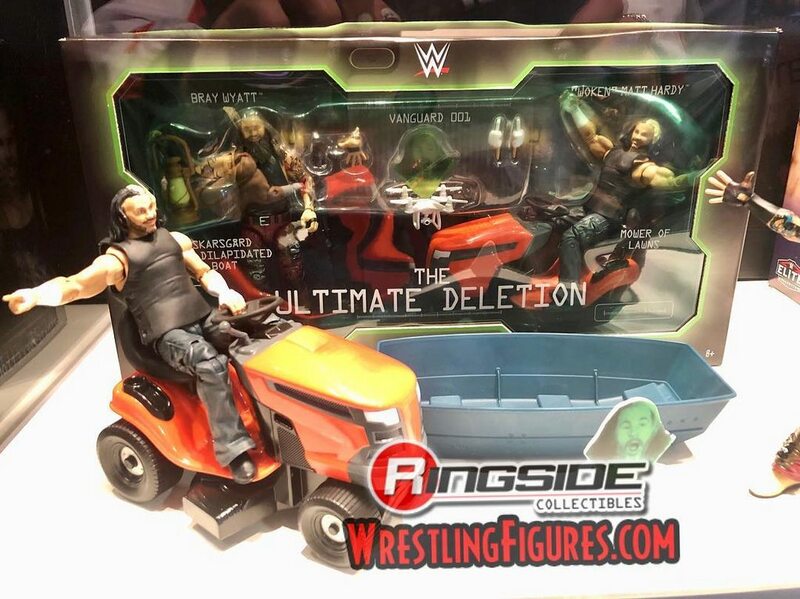 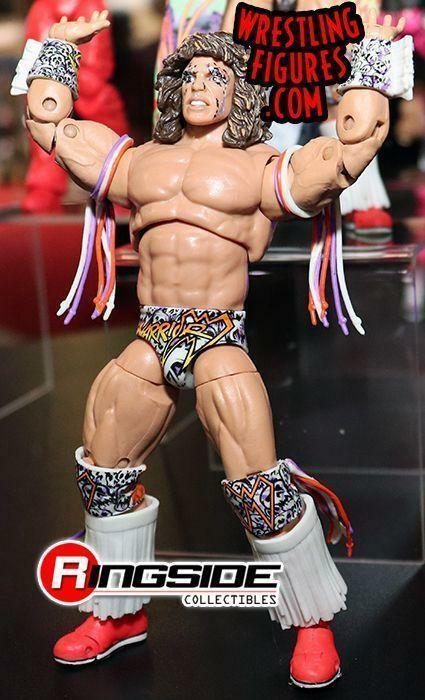 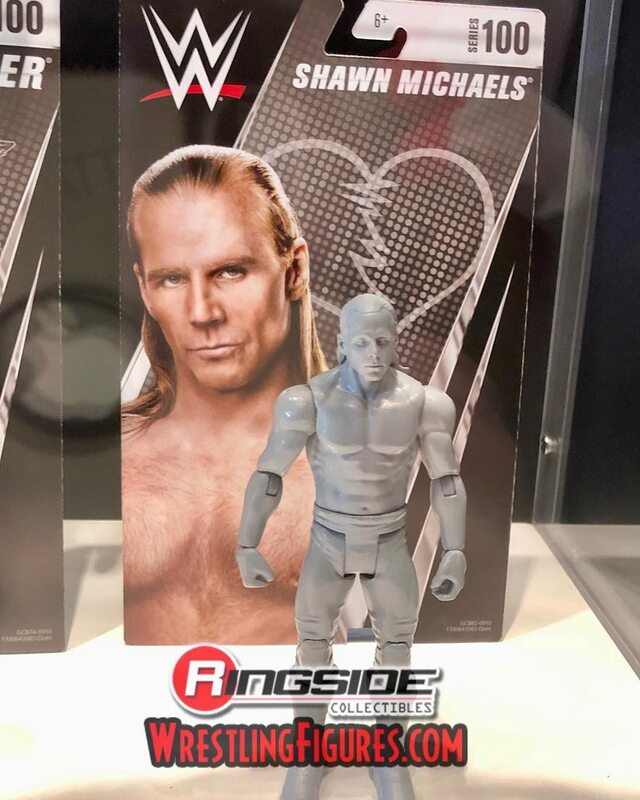 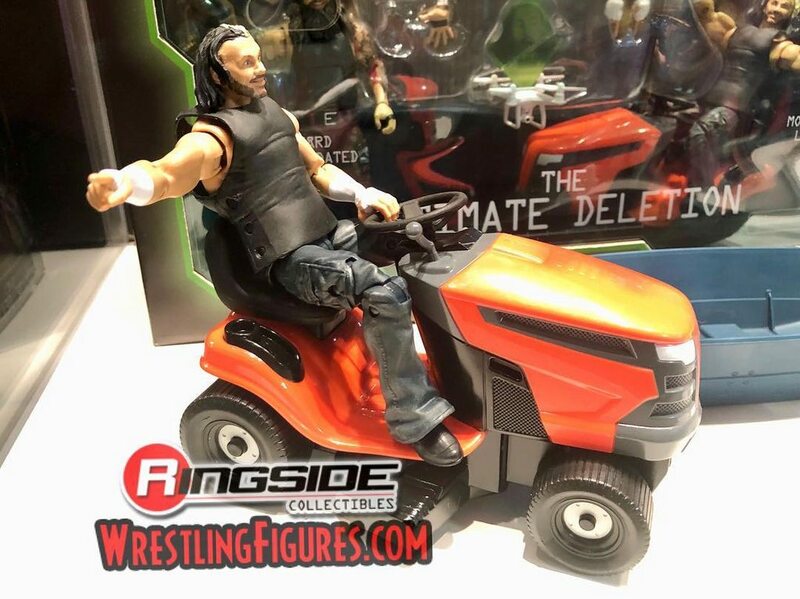 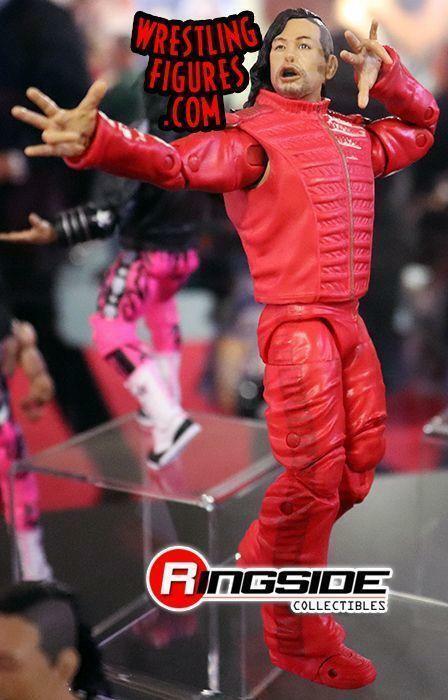 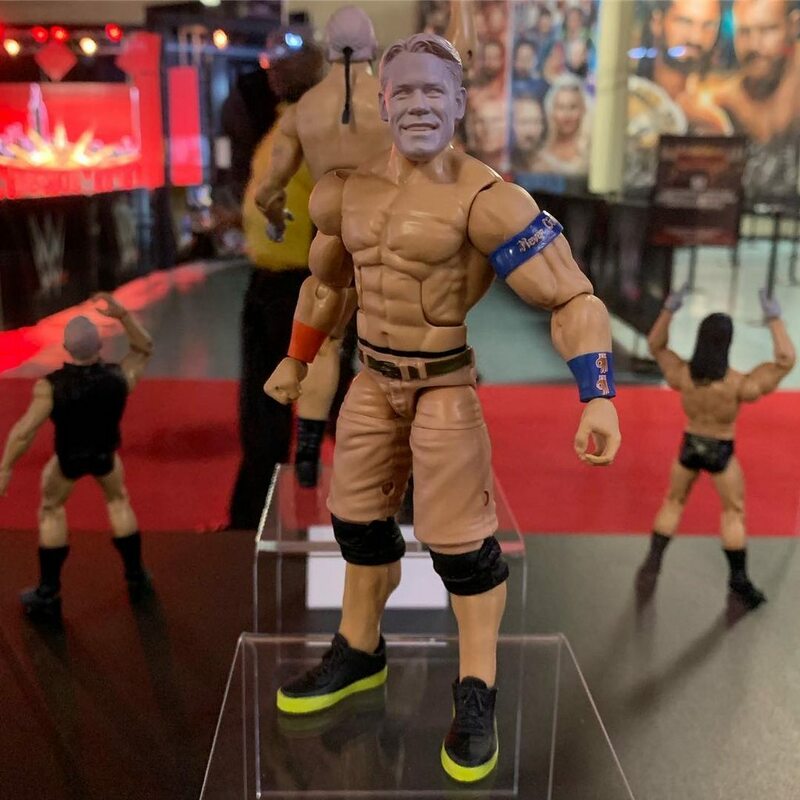 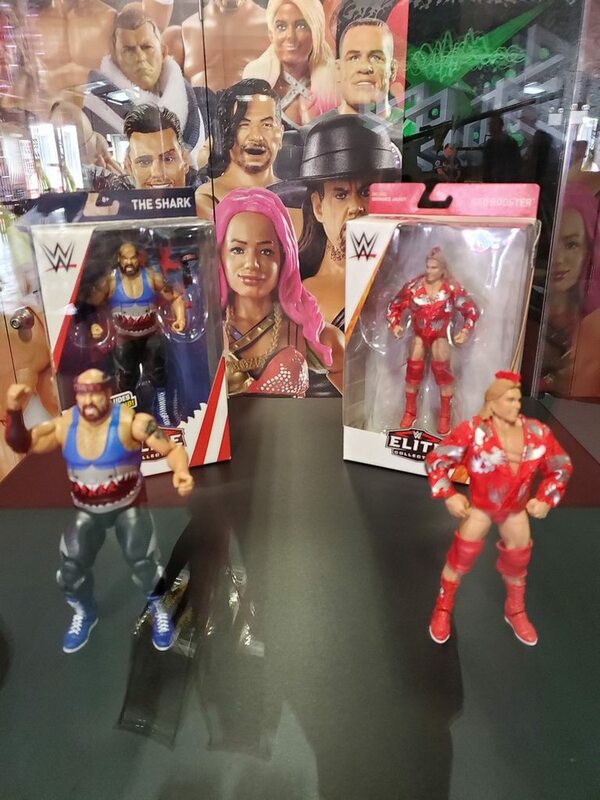 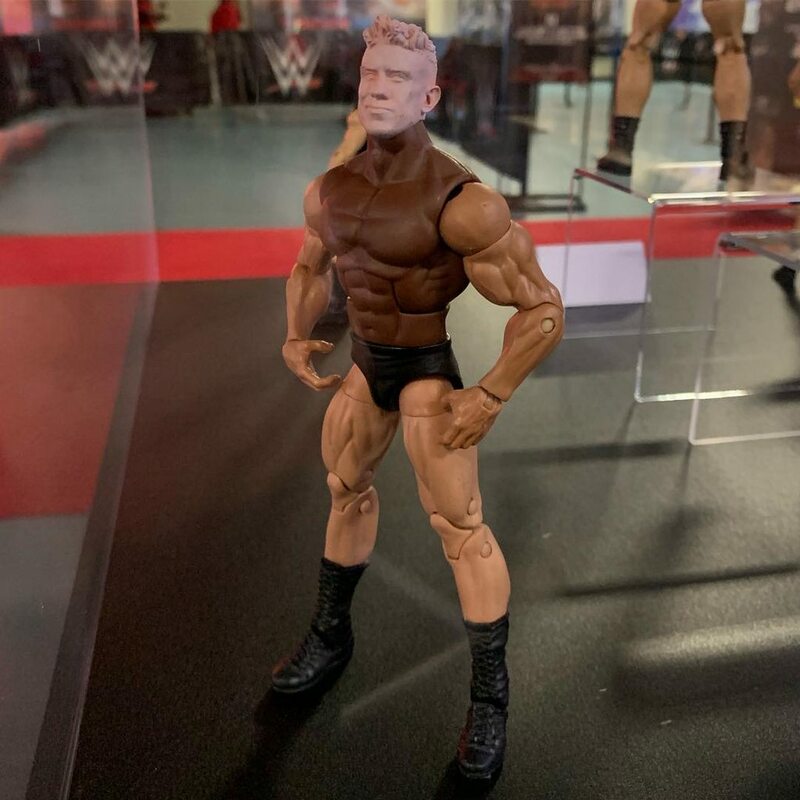 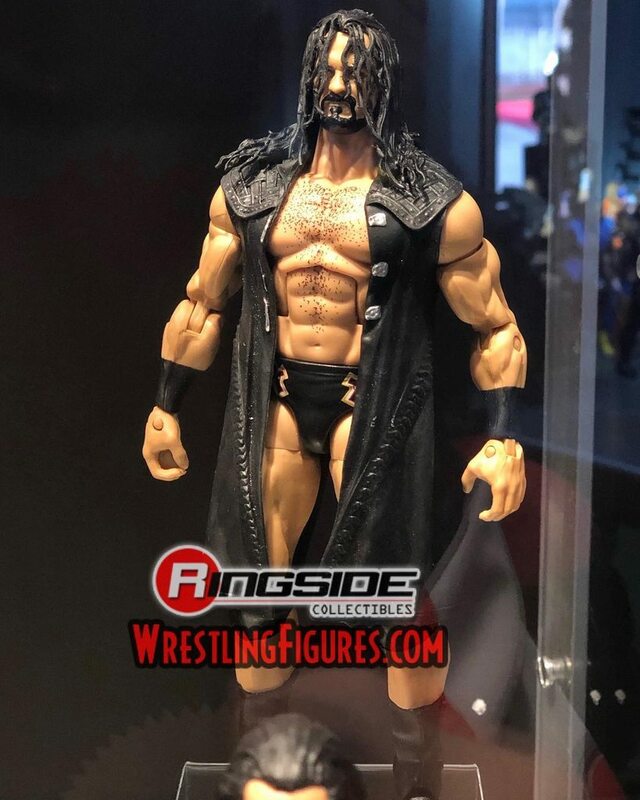 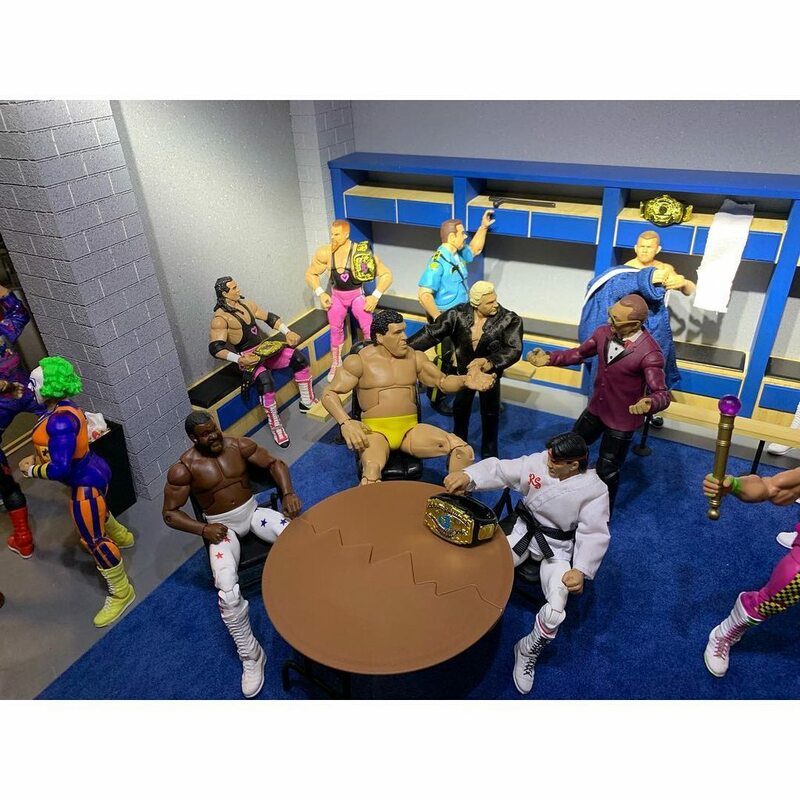 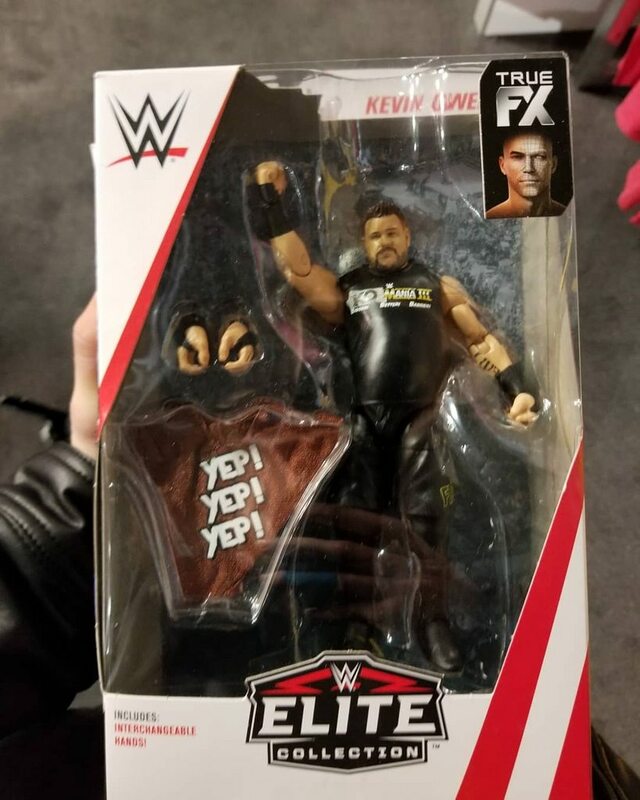 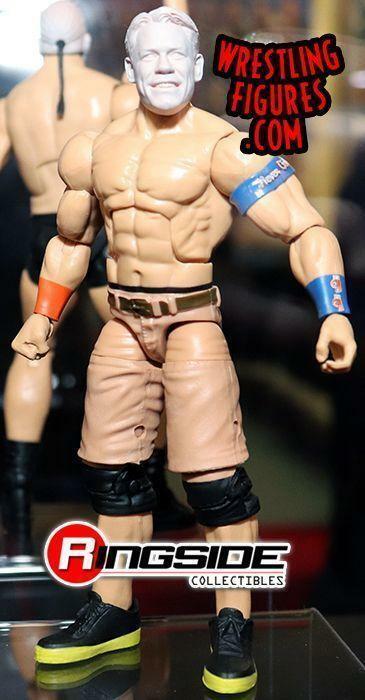 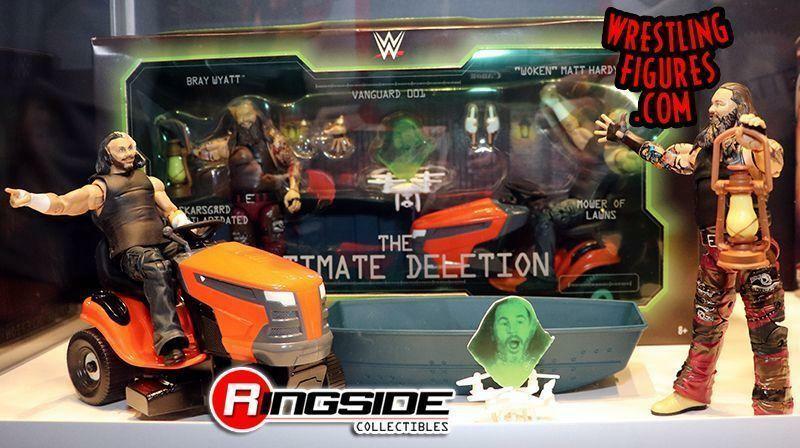 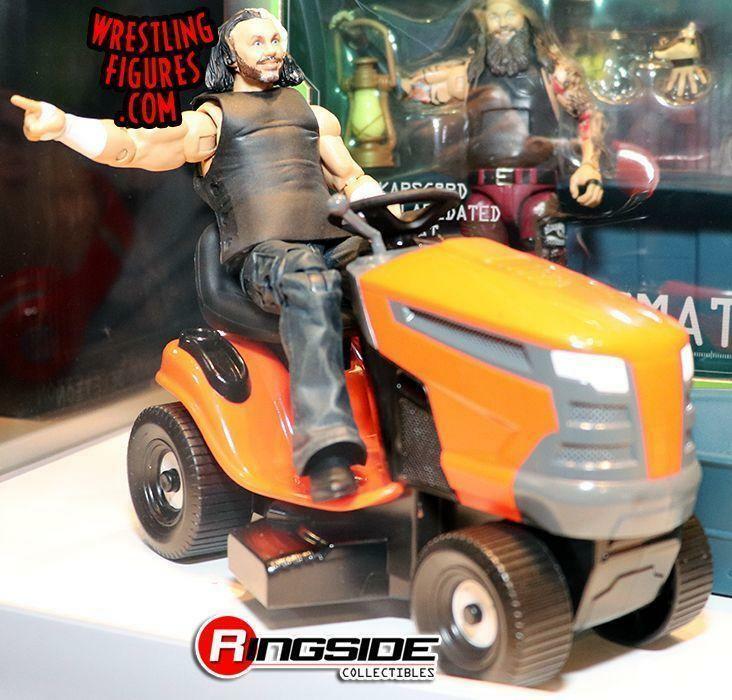 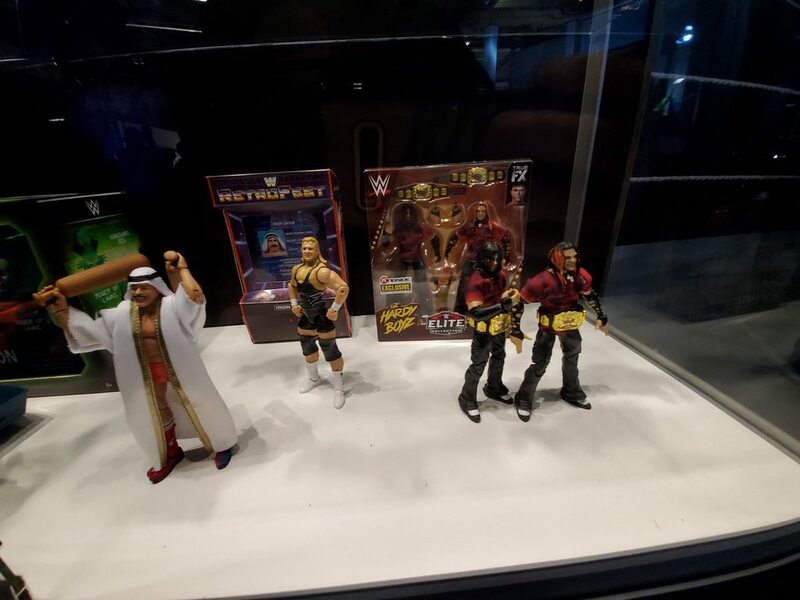 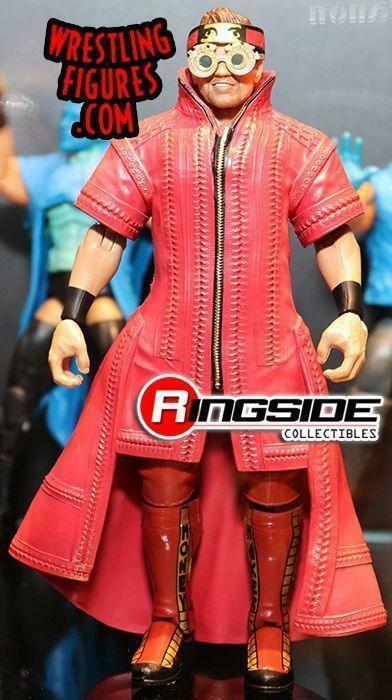 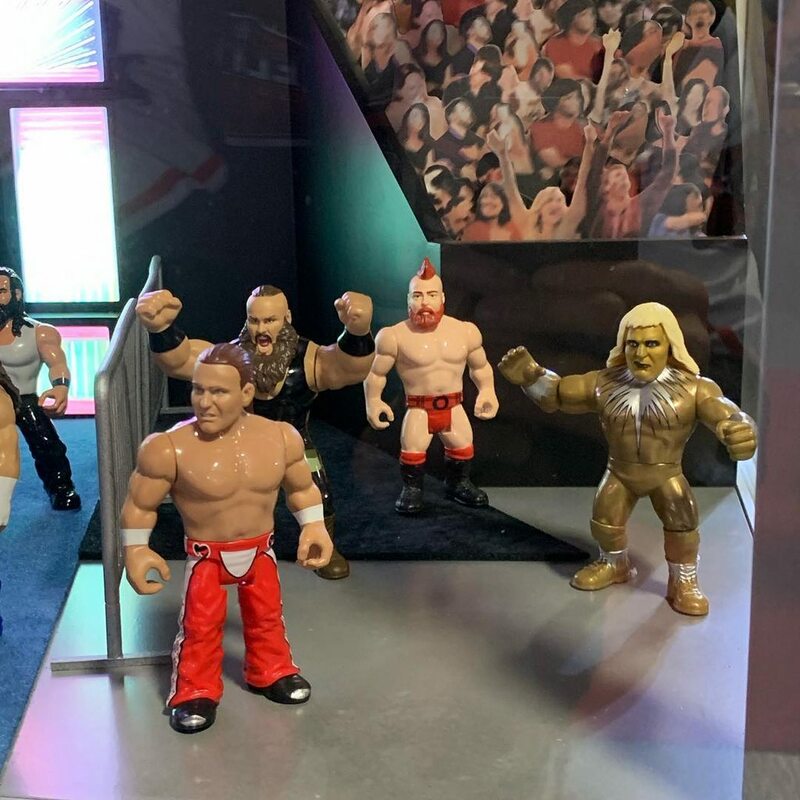 Official WM35 Axxess Mattel WWE Post! 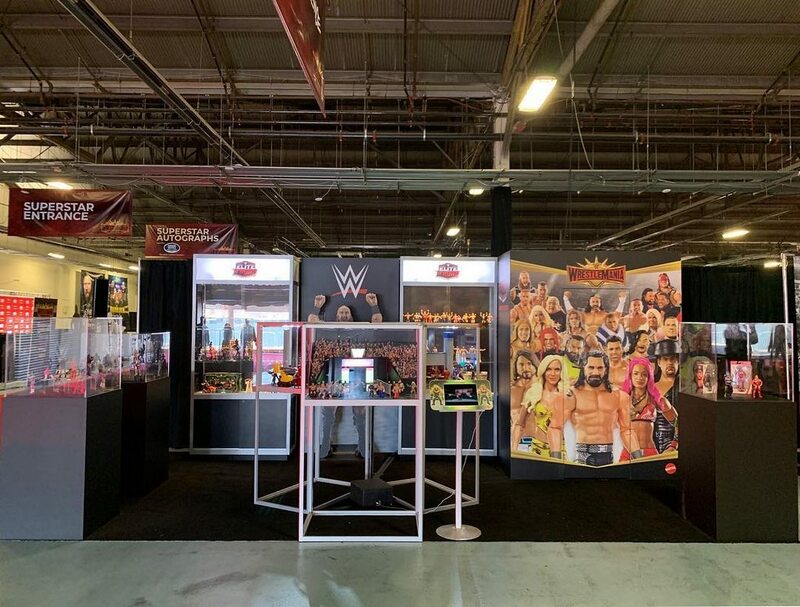 Is there anything at WrestleMania Axxess (April 4-8 in Brooklyn, NY) or Comic Con (July 18-21 in San Diego, CA) that you guys are looking forward to or expecting? 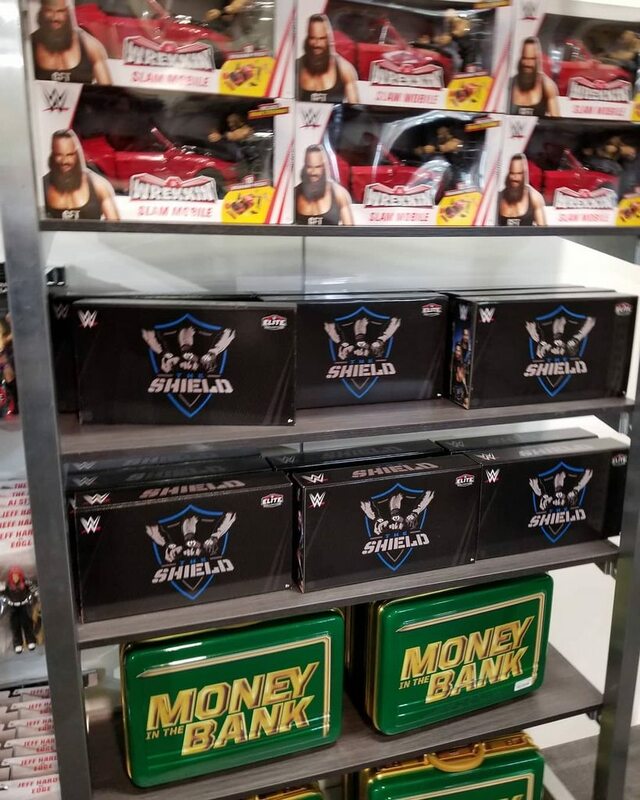 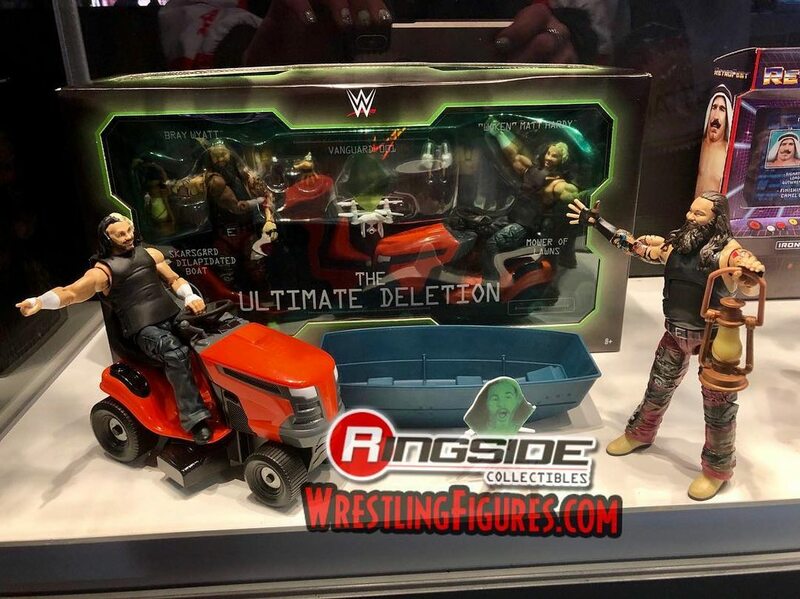 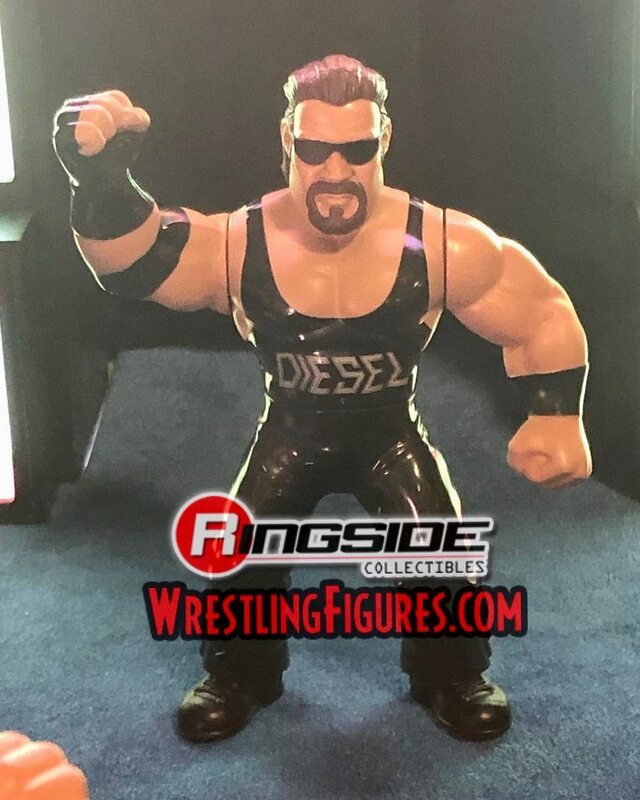 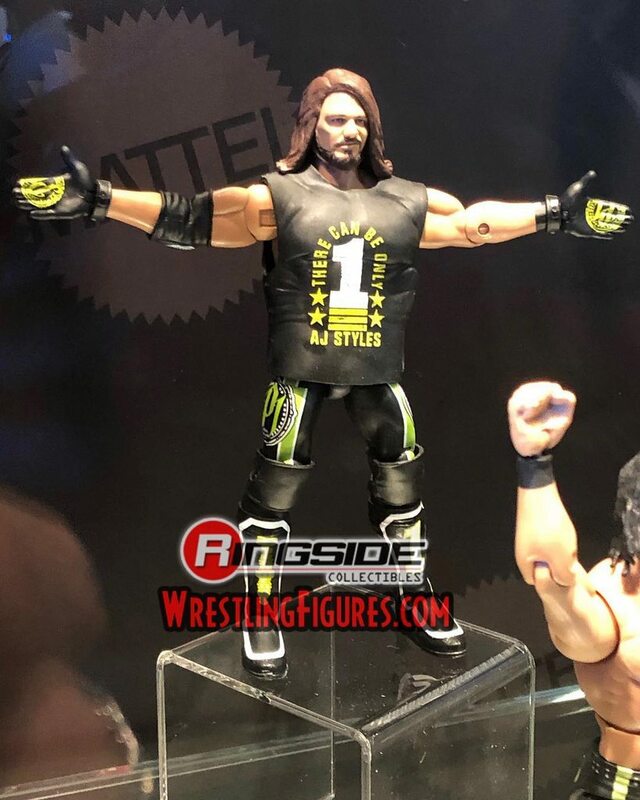 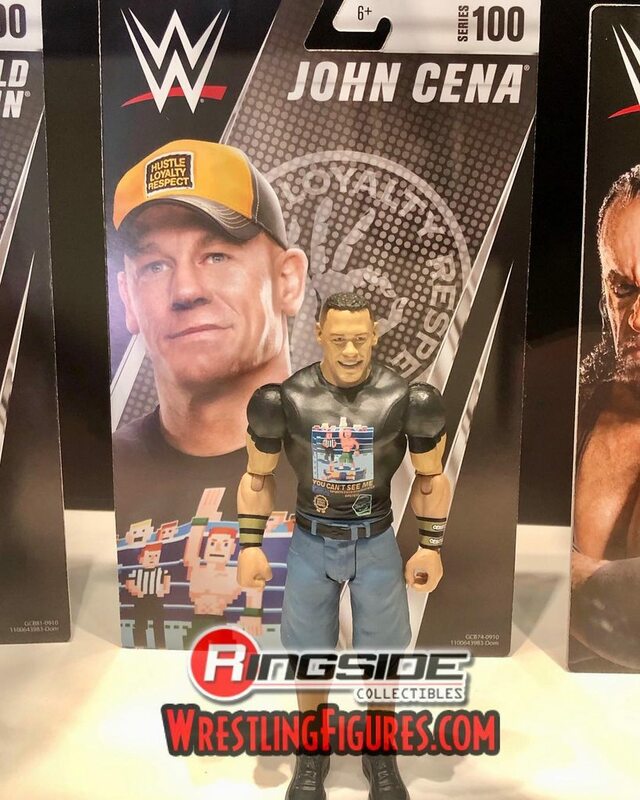 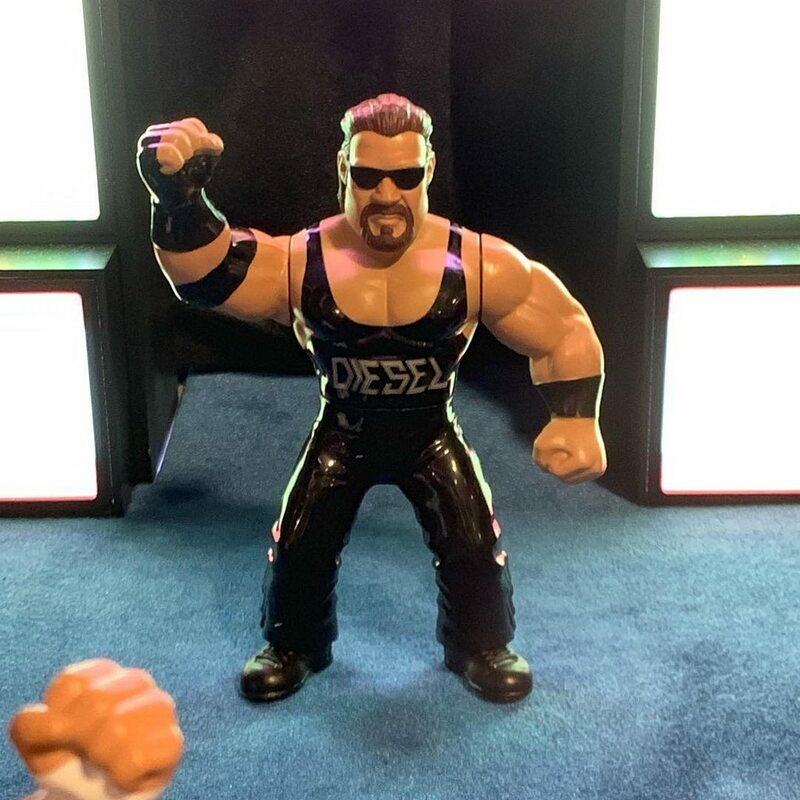 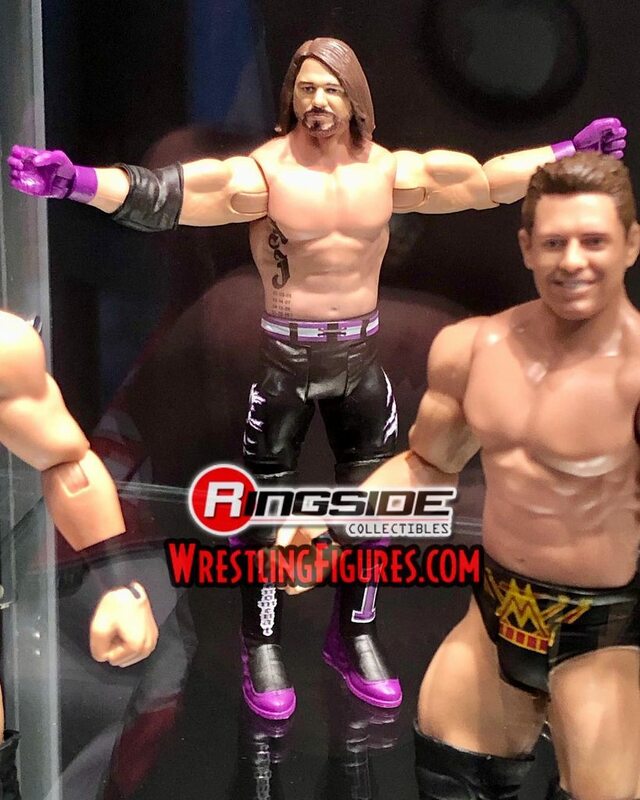 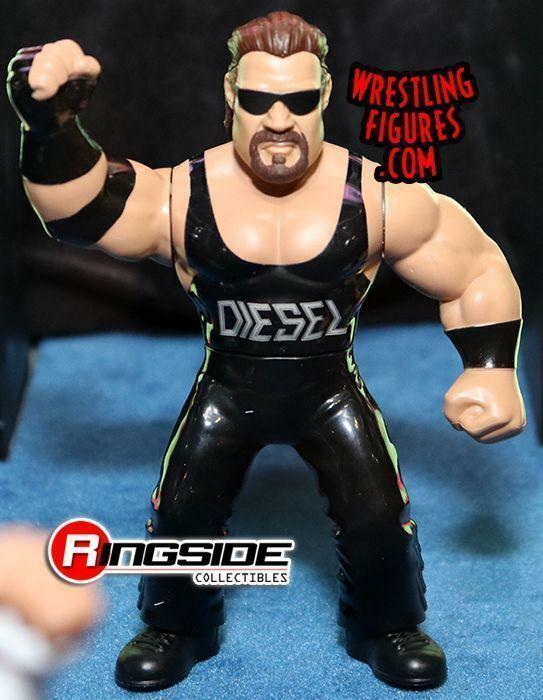 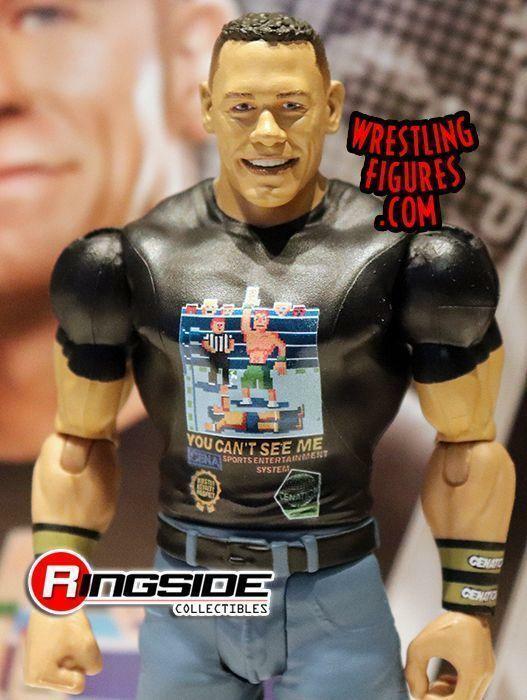 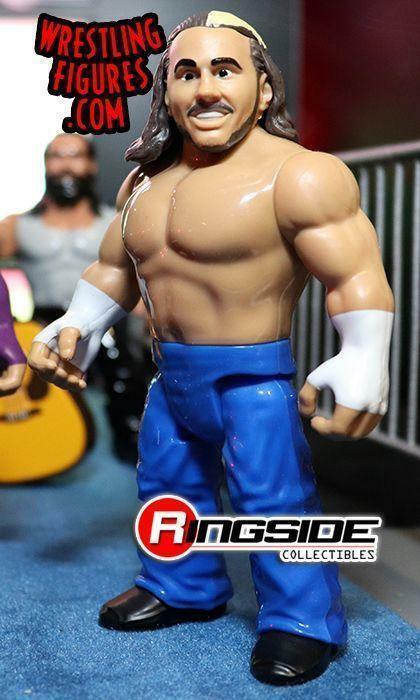 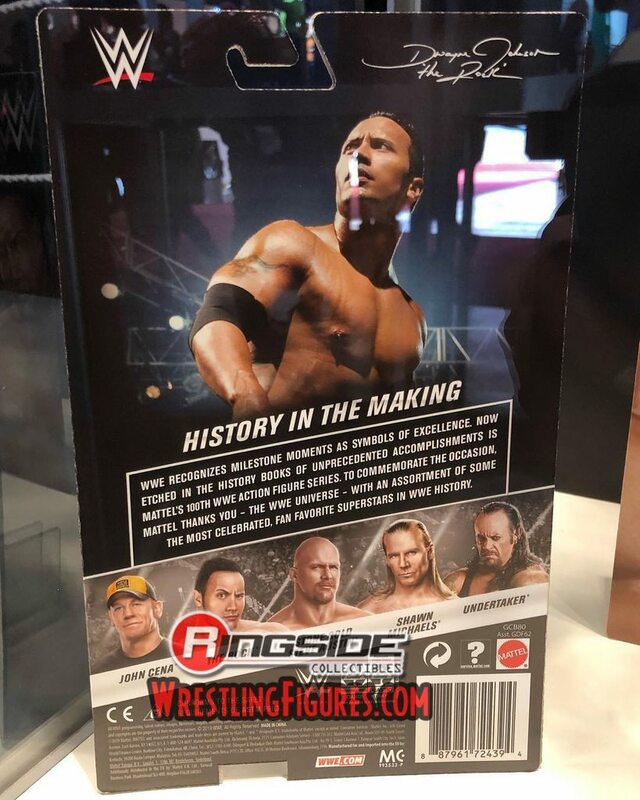 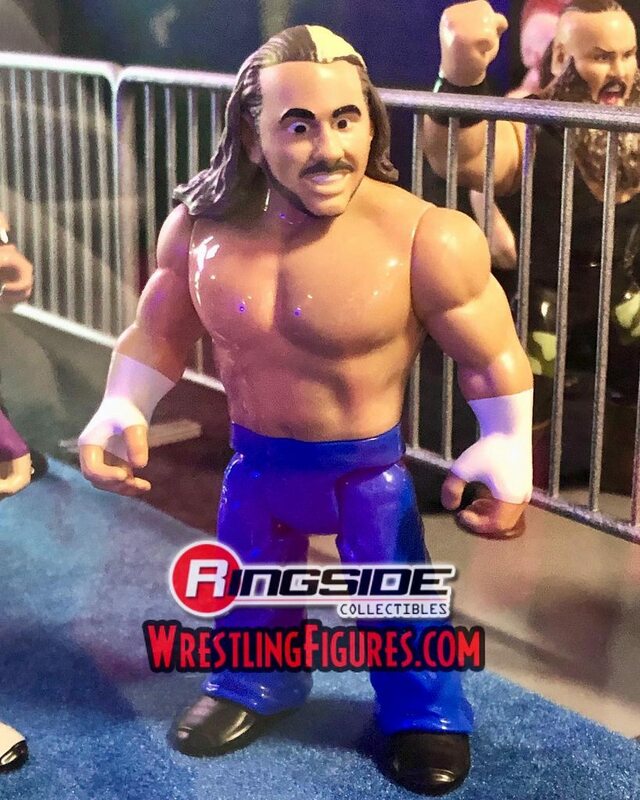 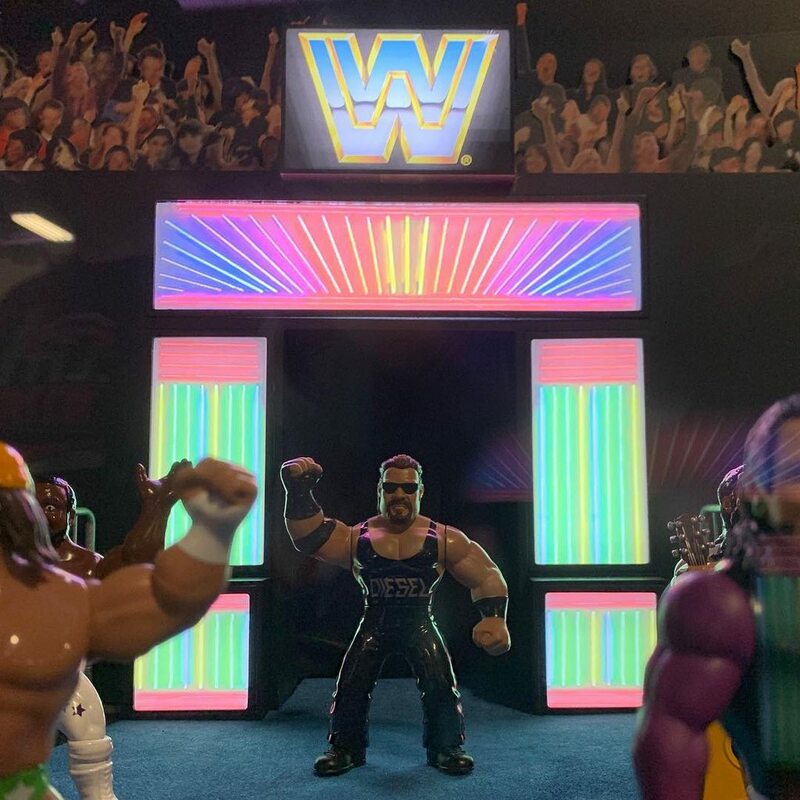 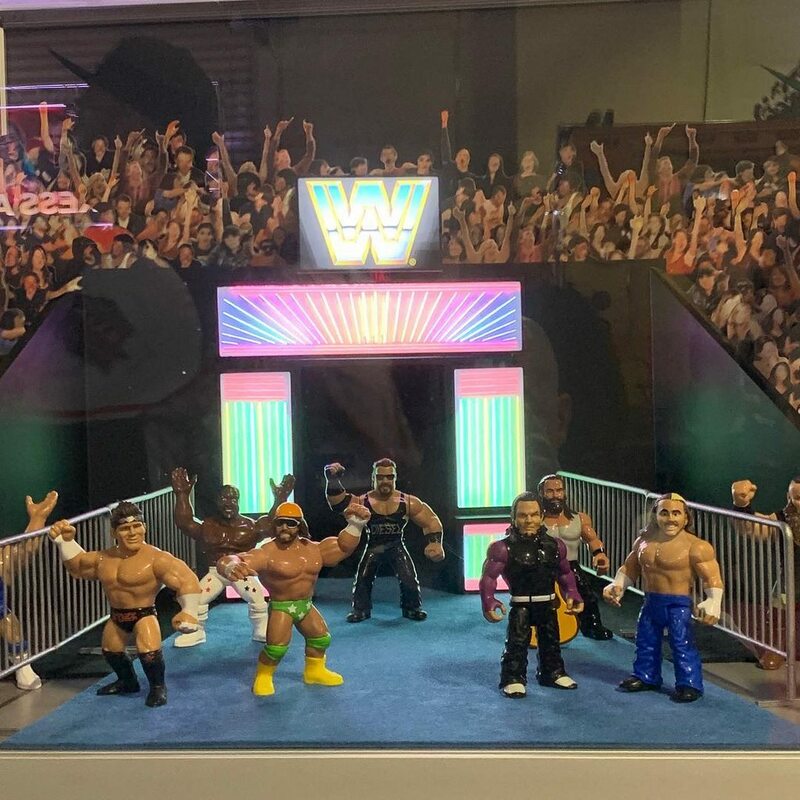 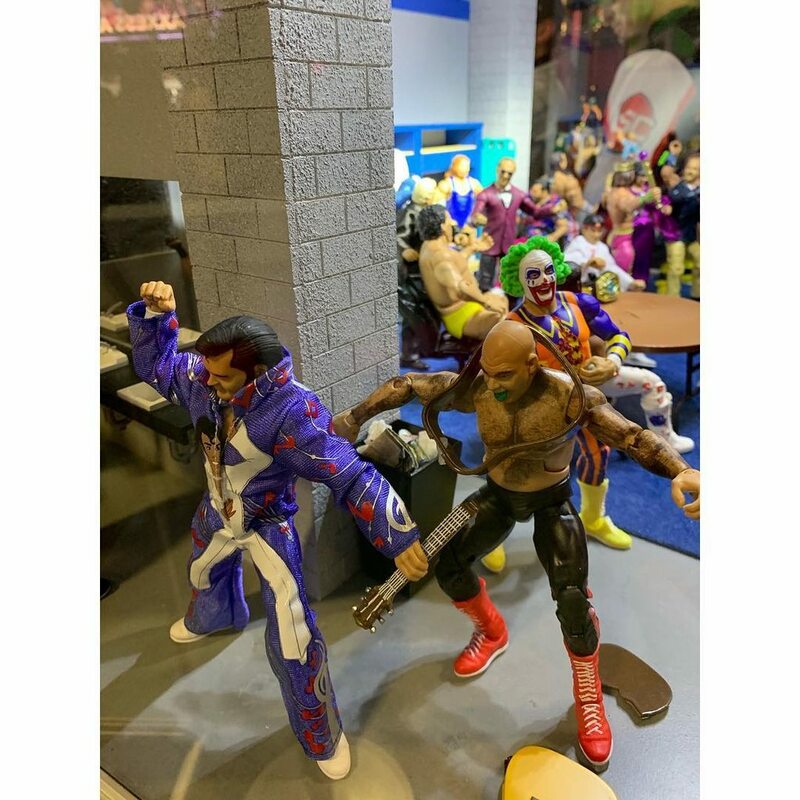 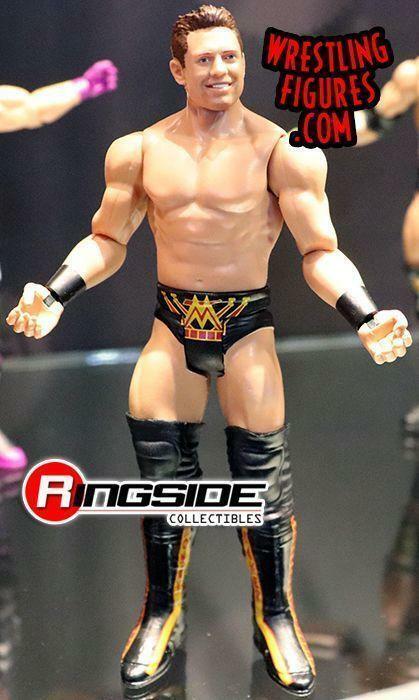 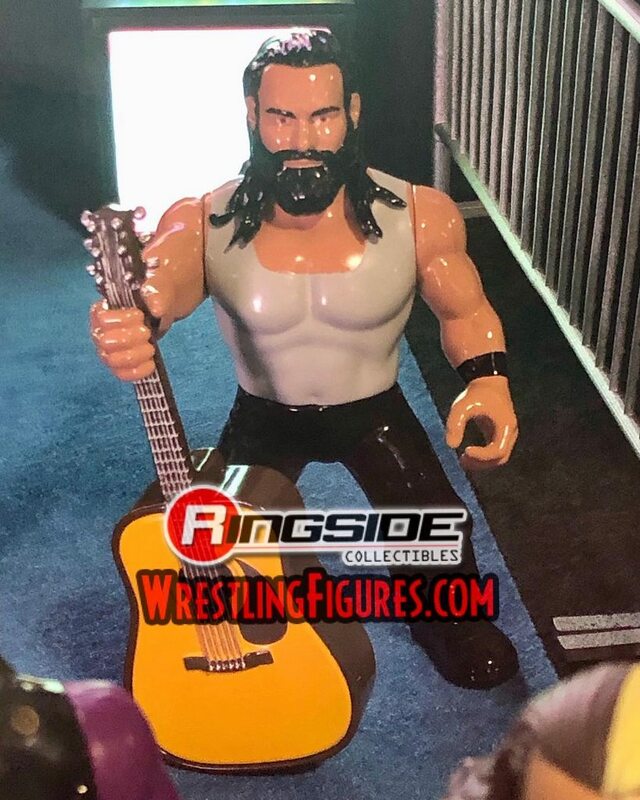 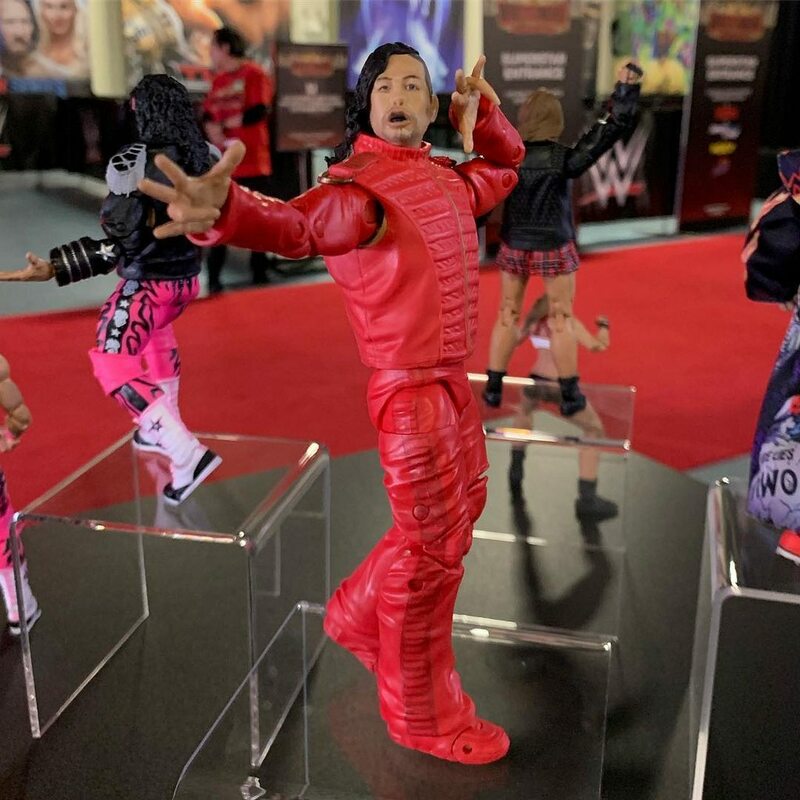 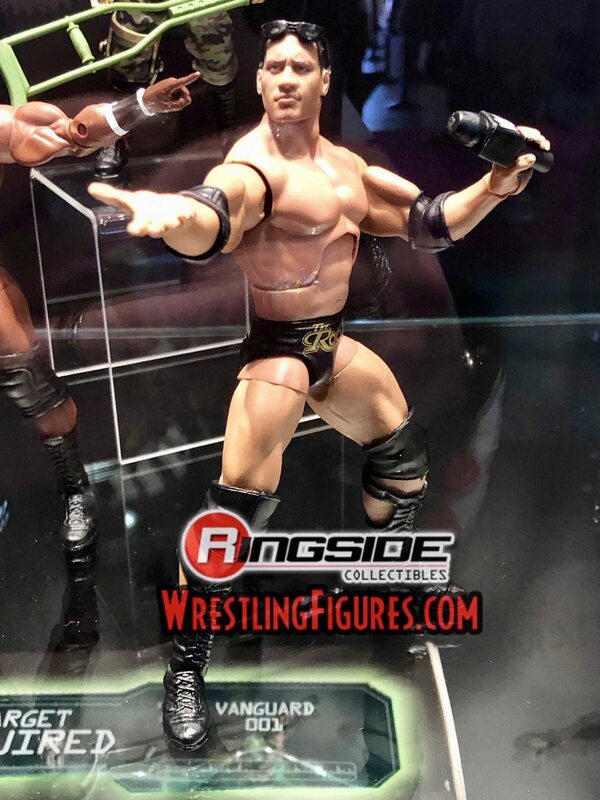 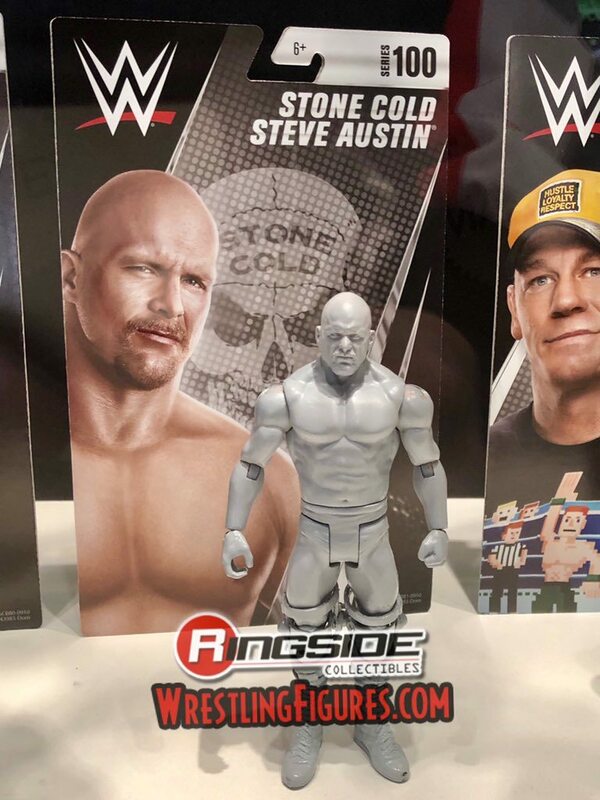 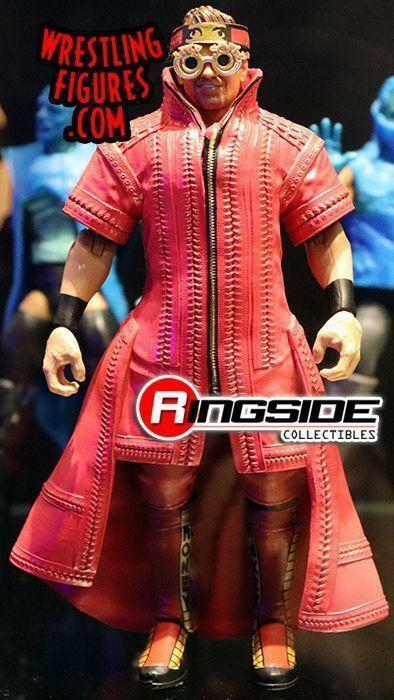 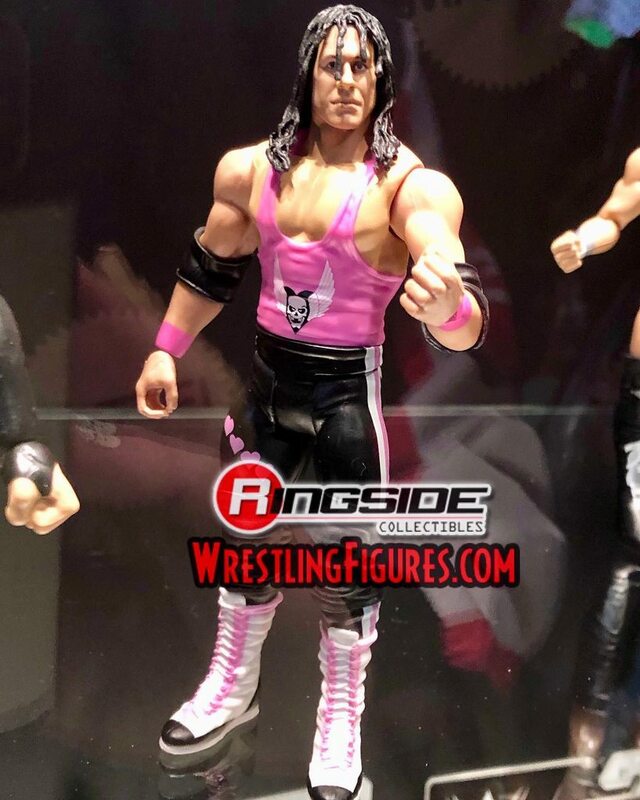 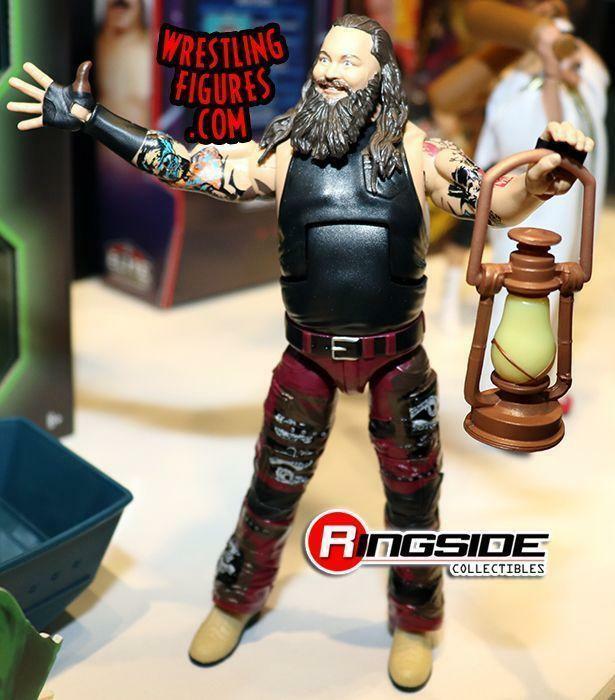 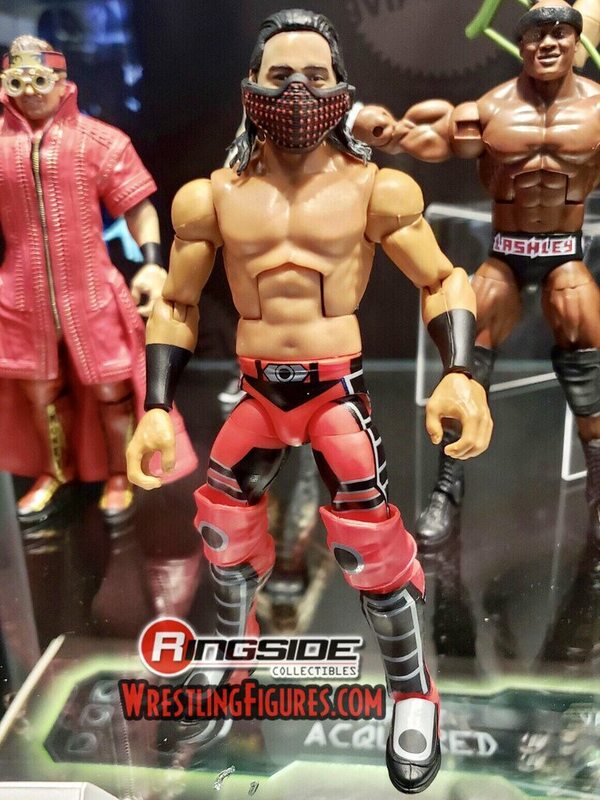 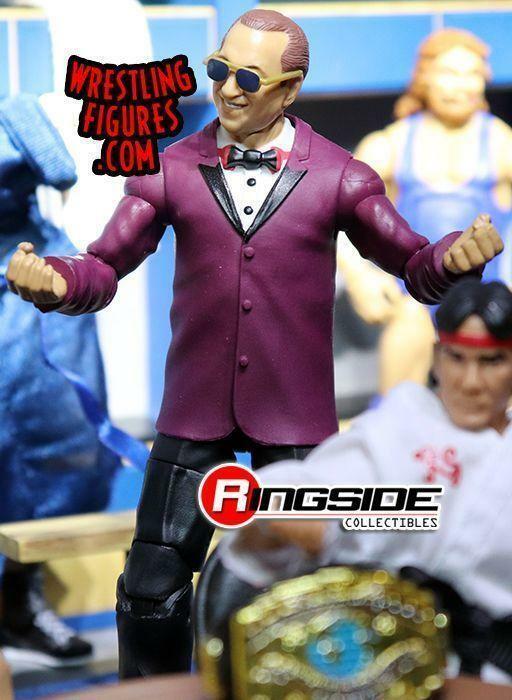 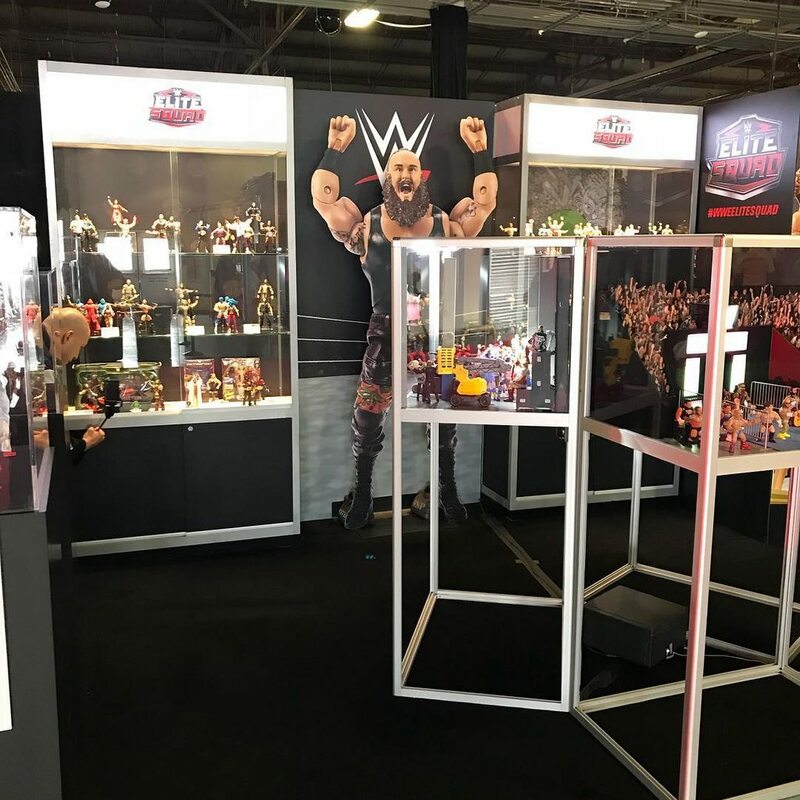 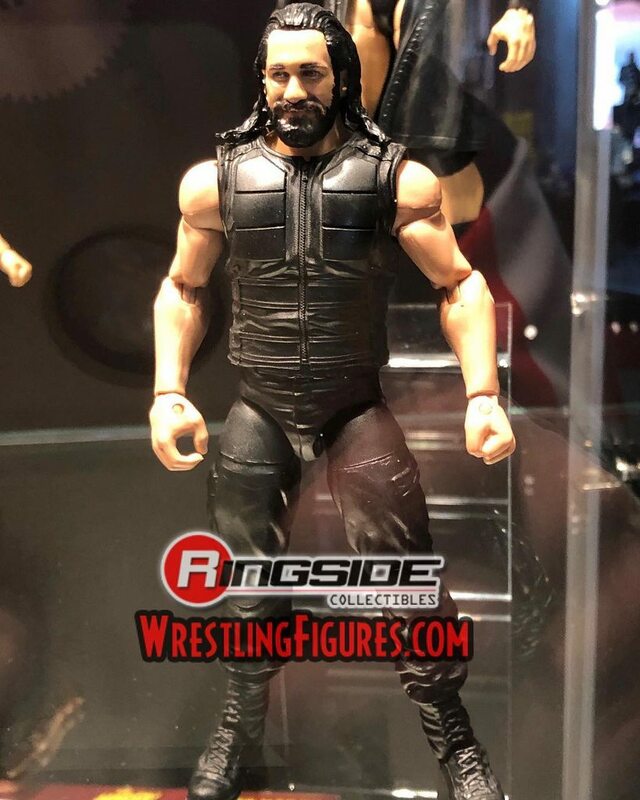 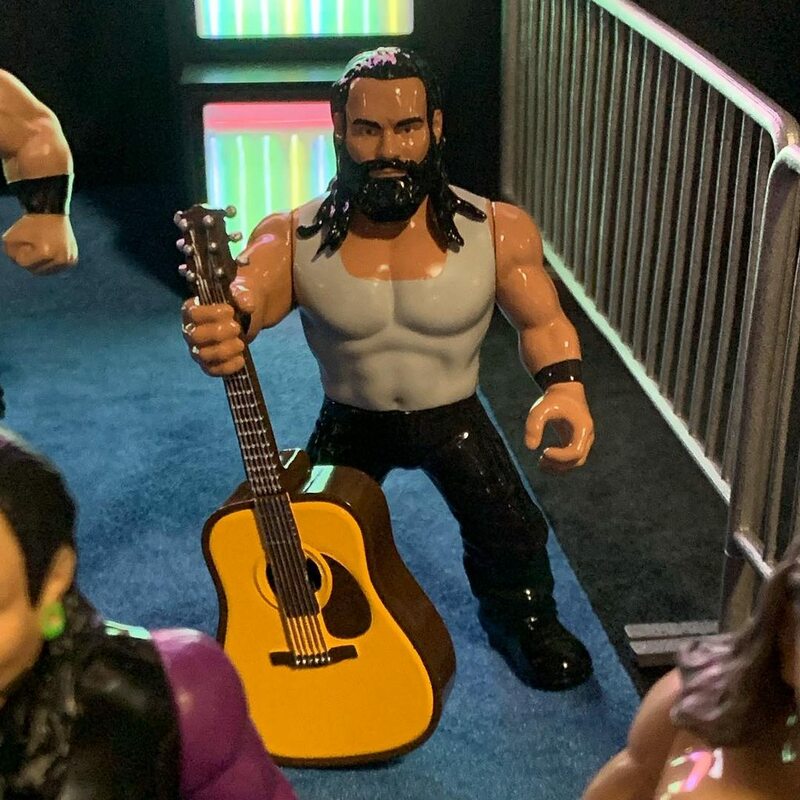 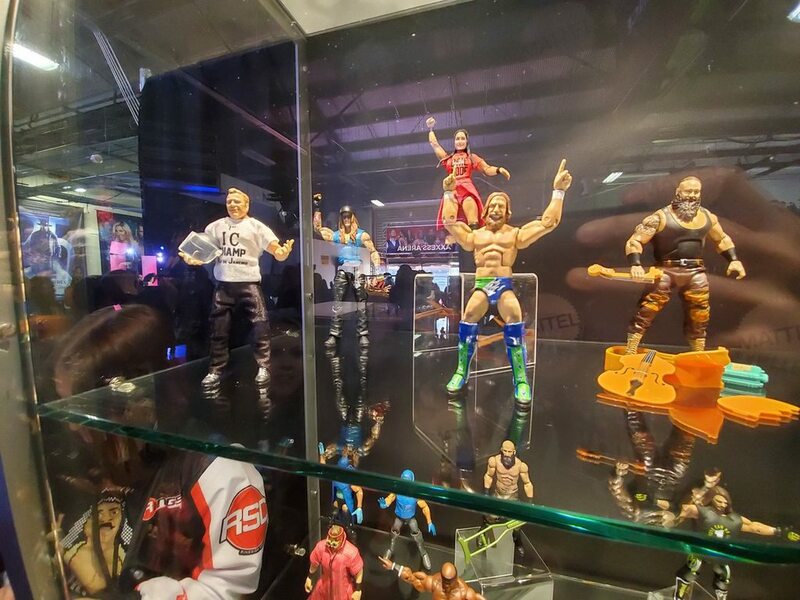 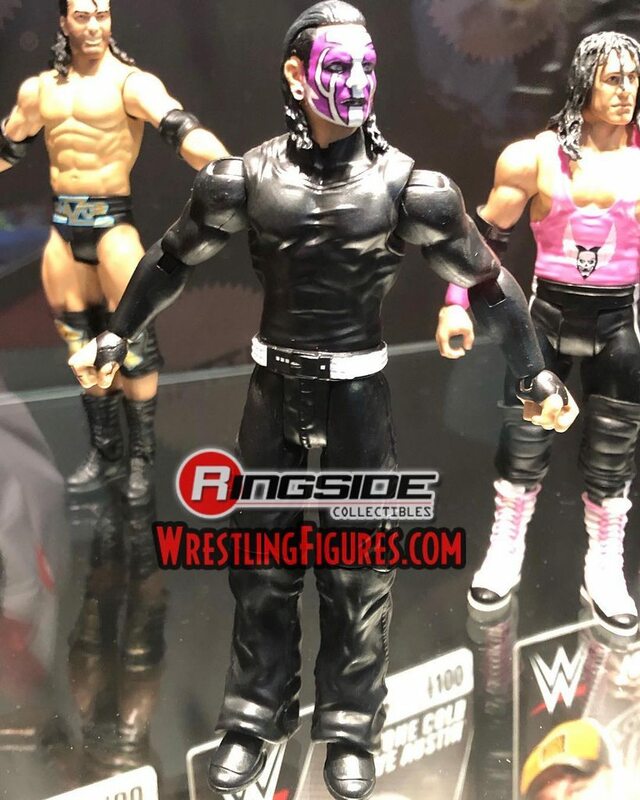 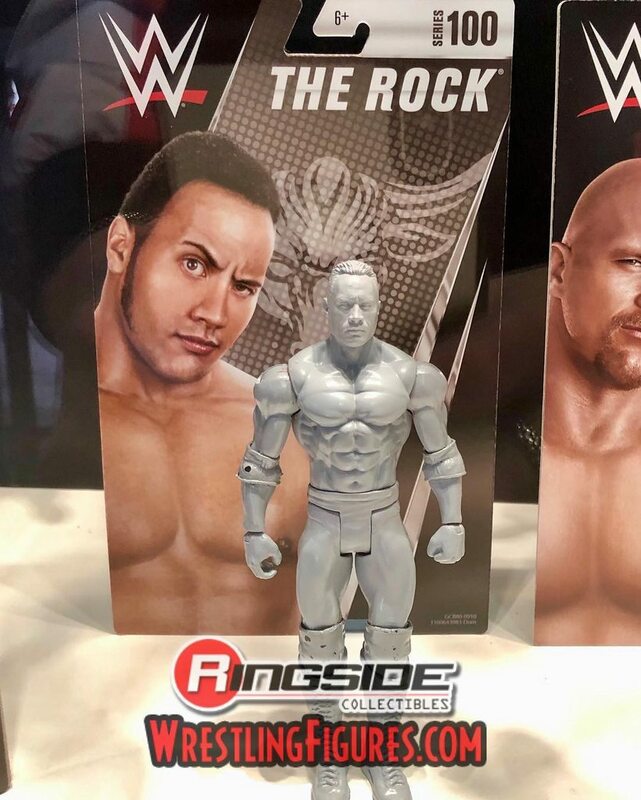 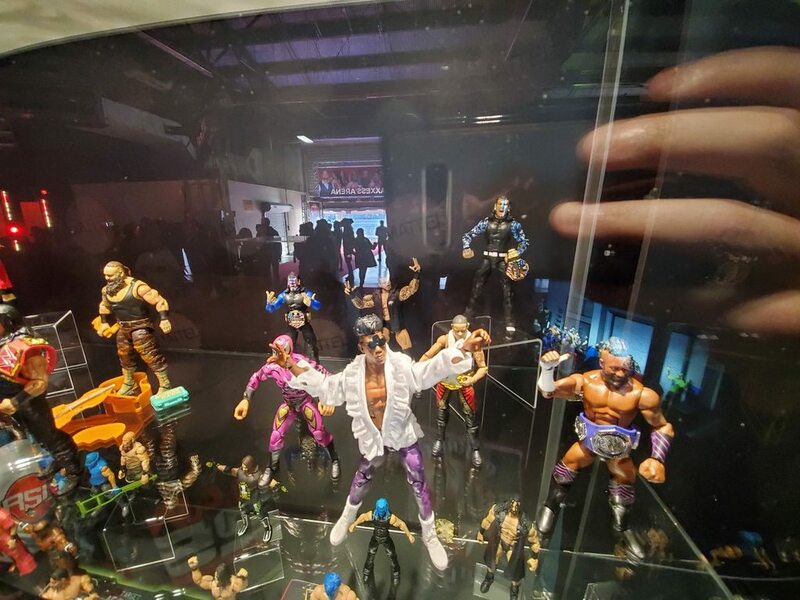 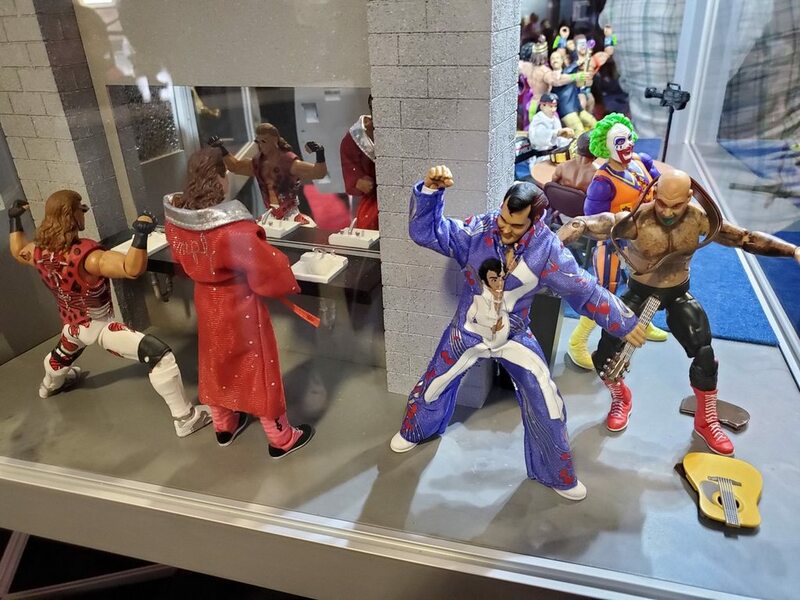 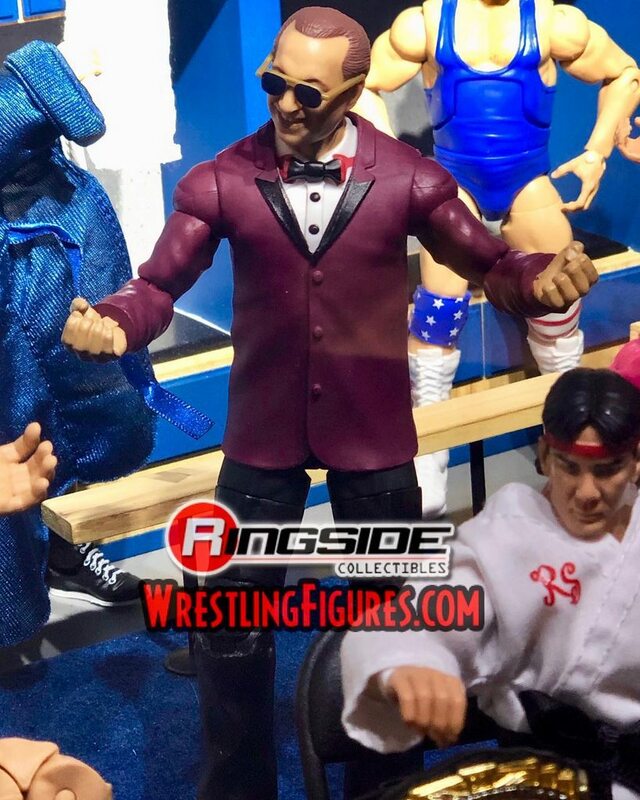 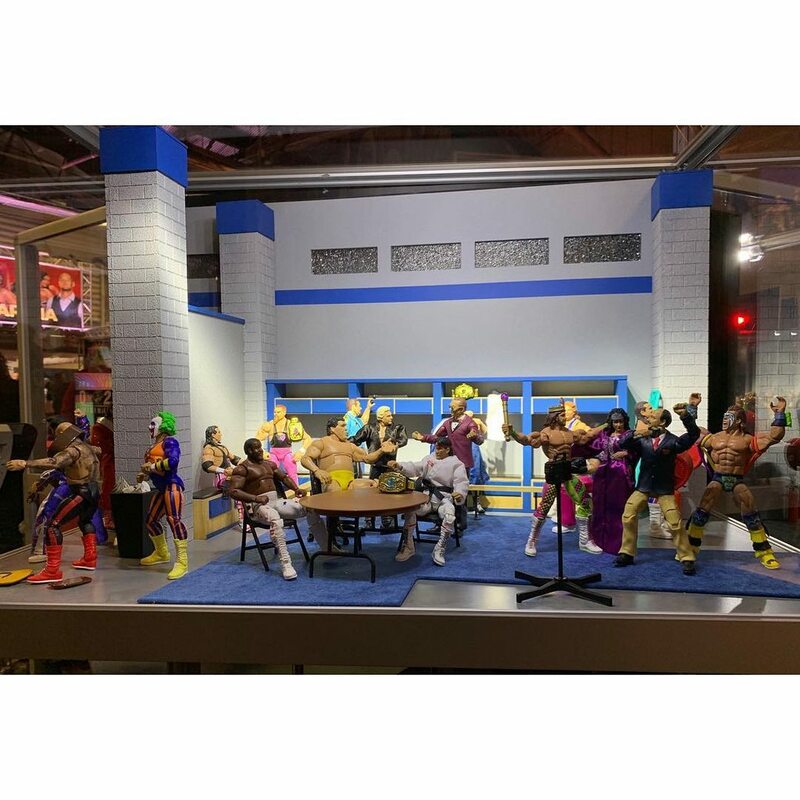 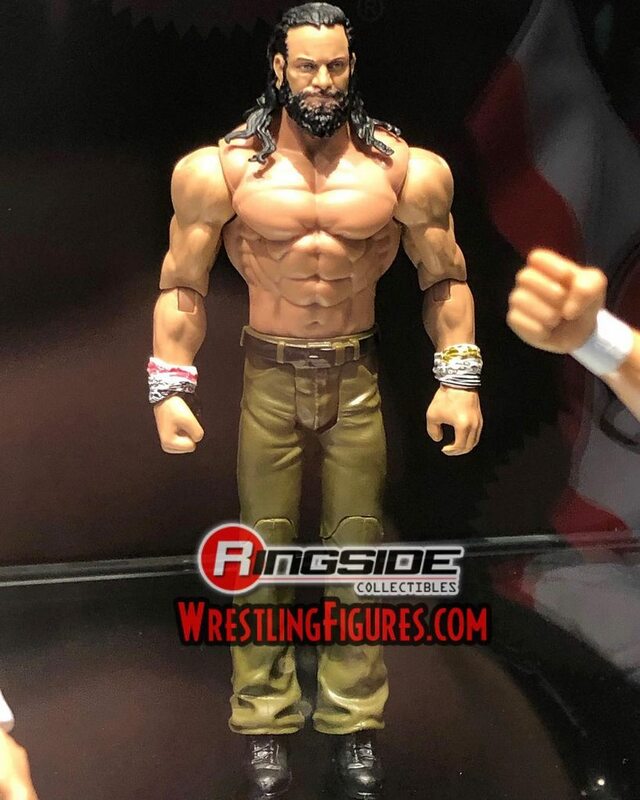 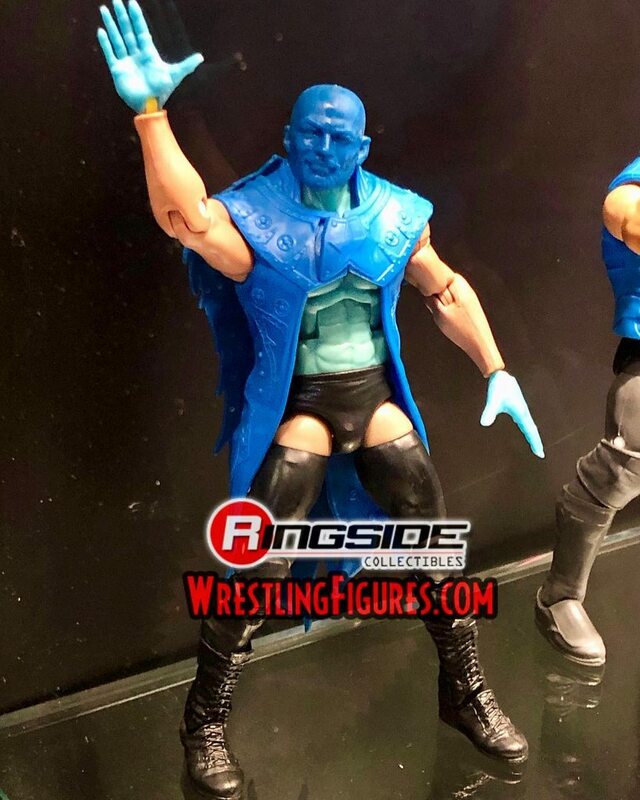 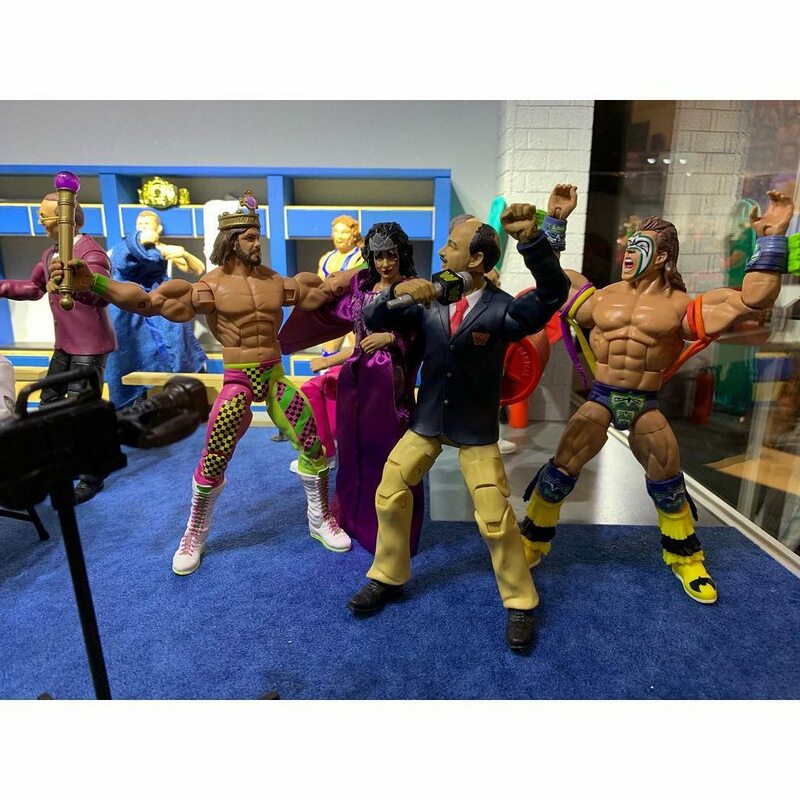 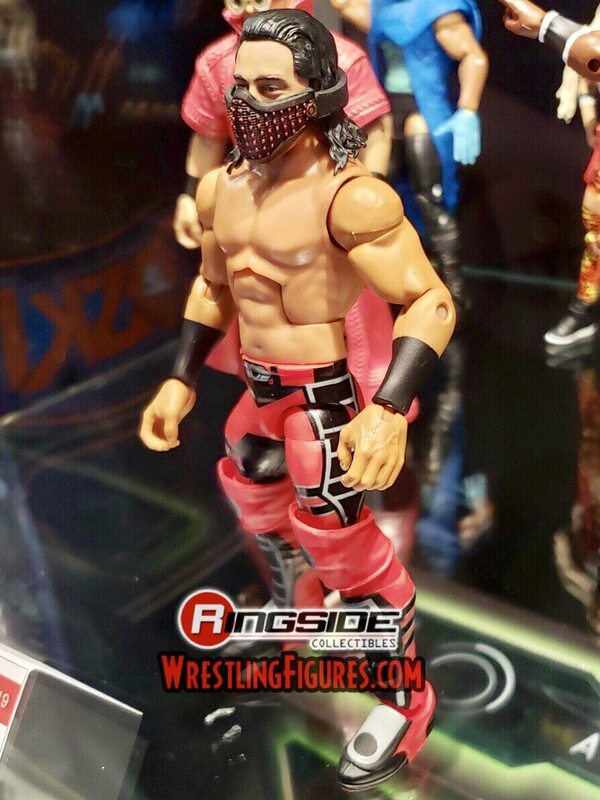 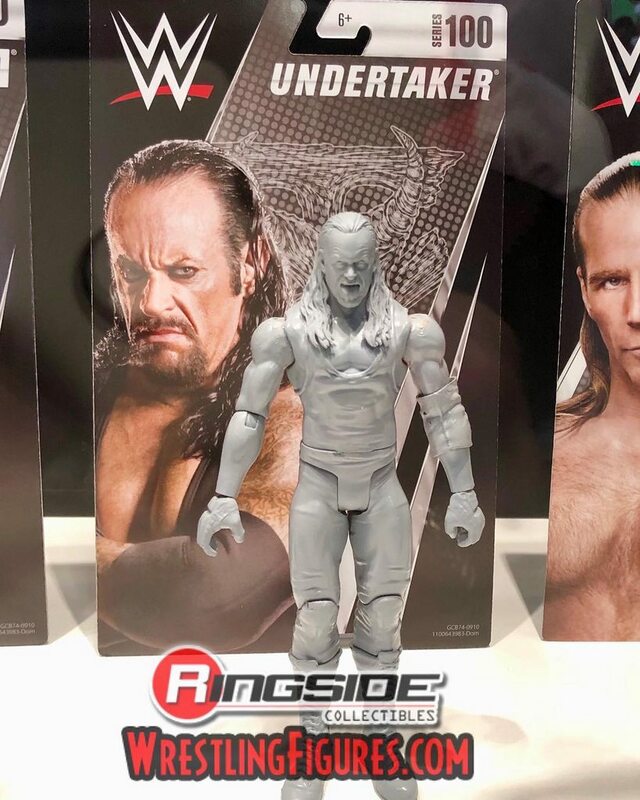 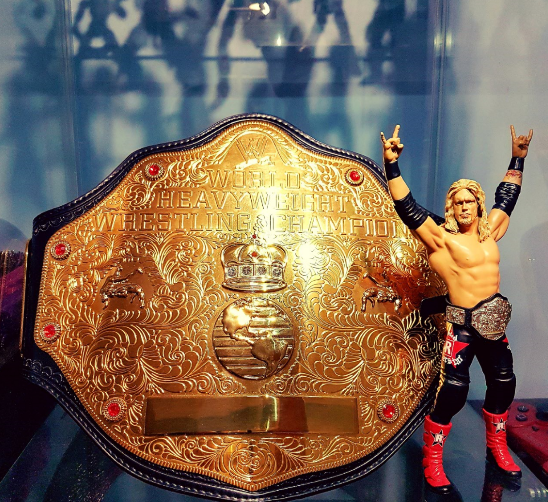 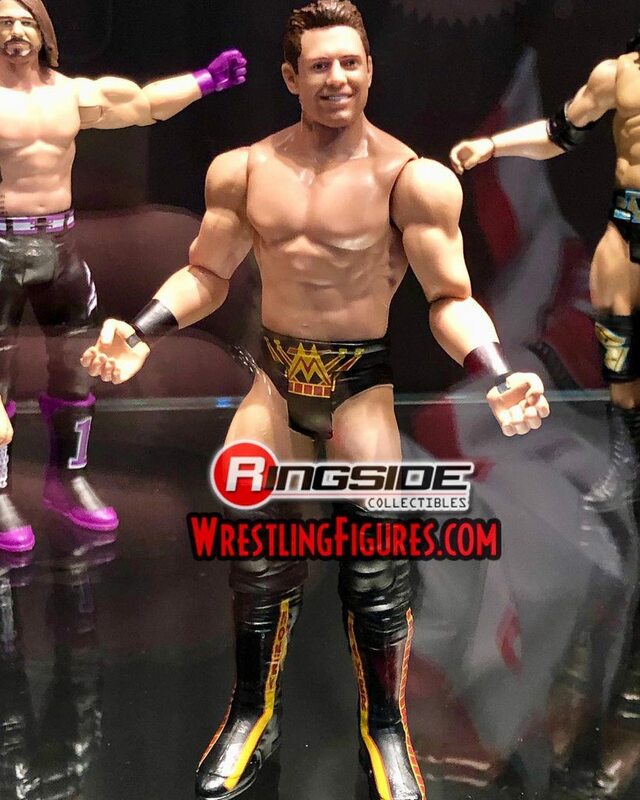 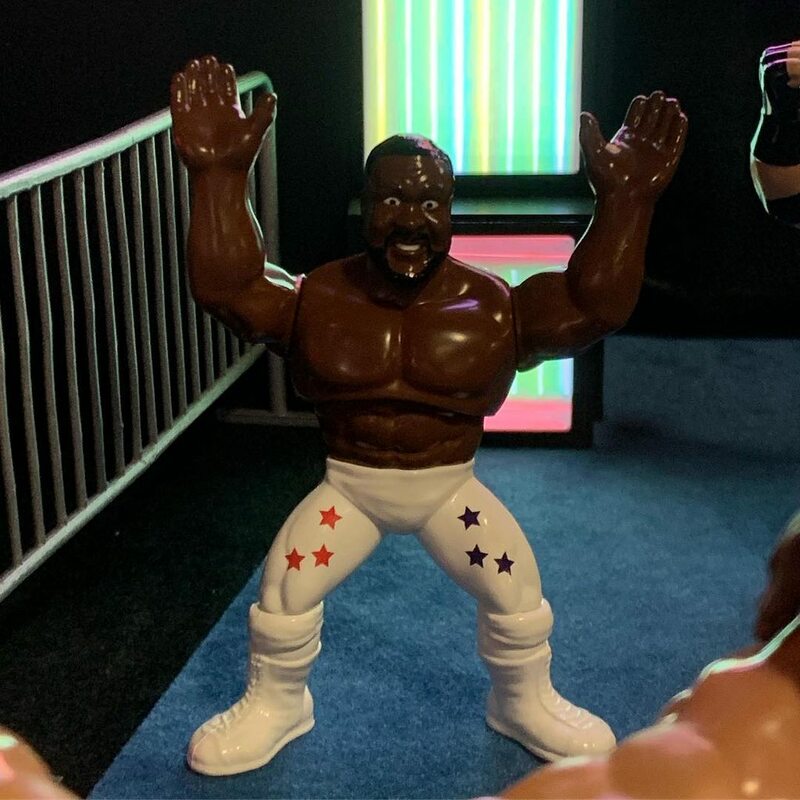 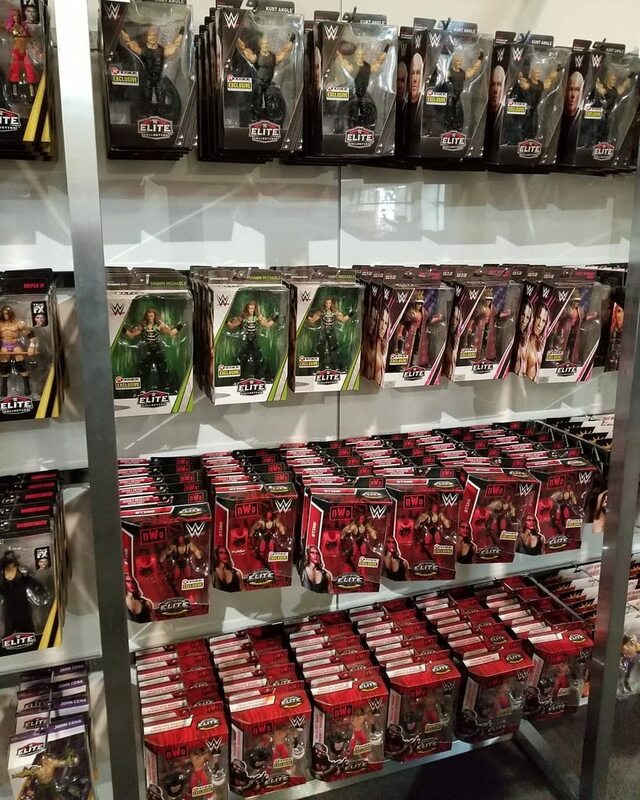 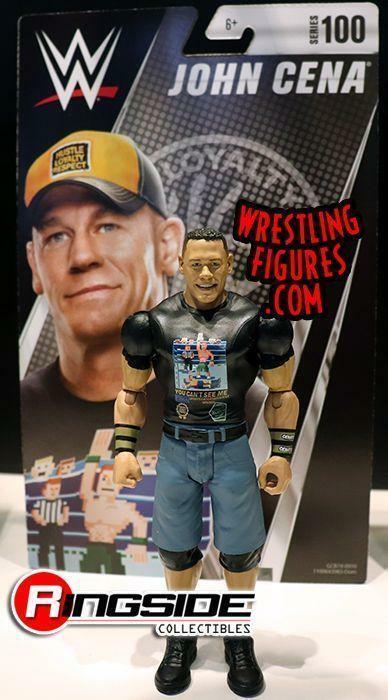 Follow Ringside Collectibles on their social media pages for coverage of all things WrestleMania Axxess and to see images of upcoming Mattel WWE figures, accessories & more! 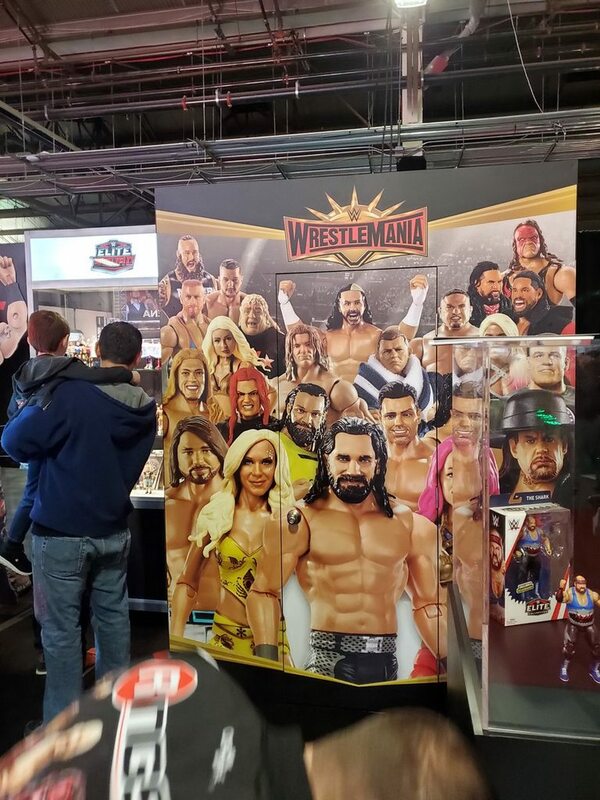 WrestleMania Axxess will be held from April 4-8 in Brooklyn, NY! 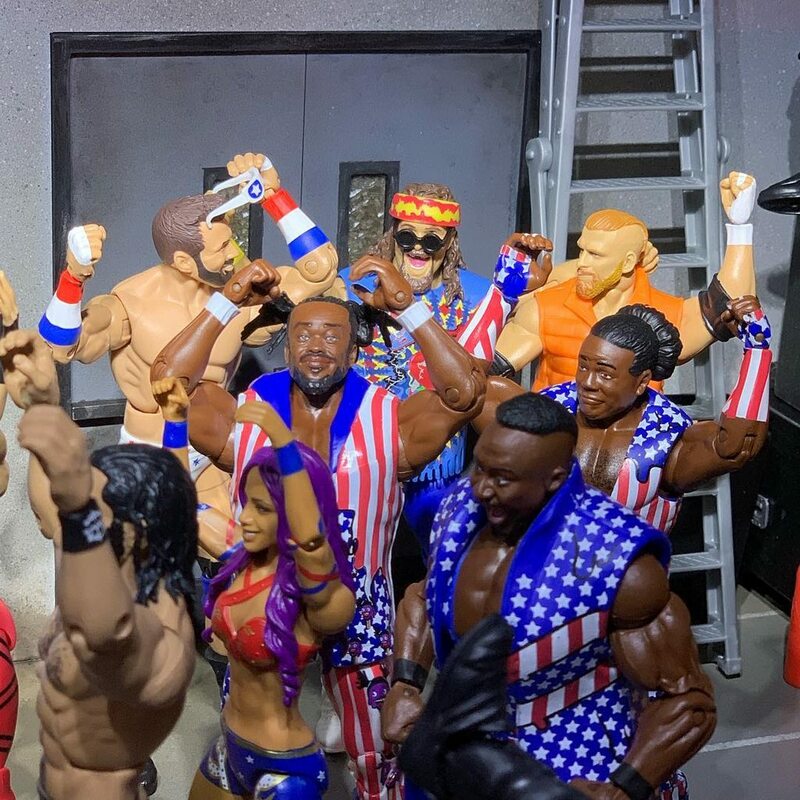 actionfigureattack: "Make Your Collection Elite! 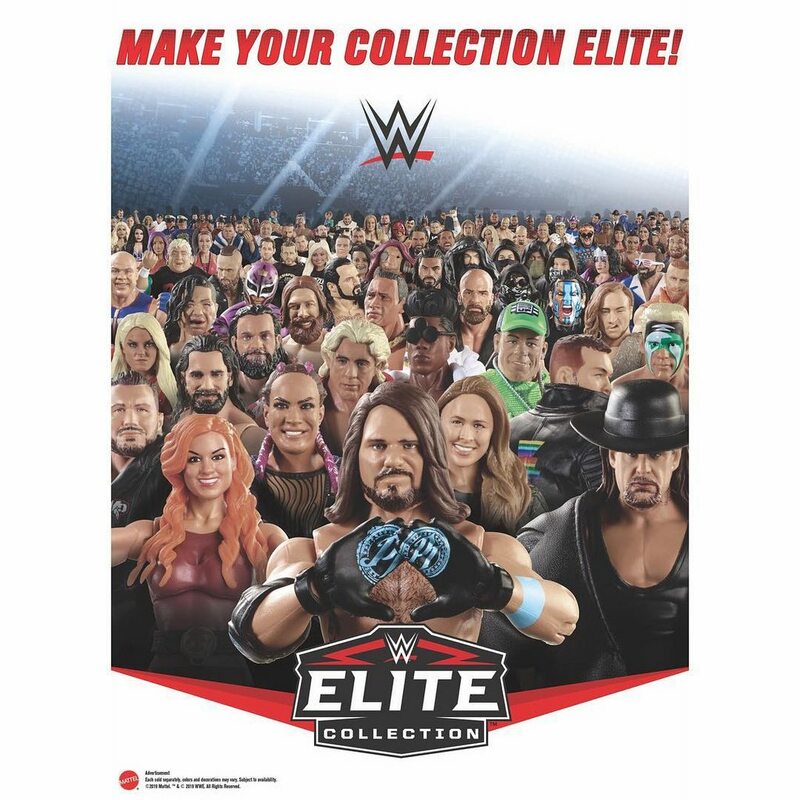 Check out this year’s WWE ad in the WrestleMania program. 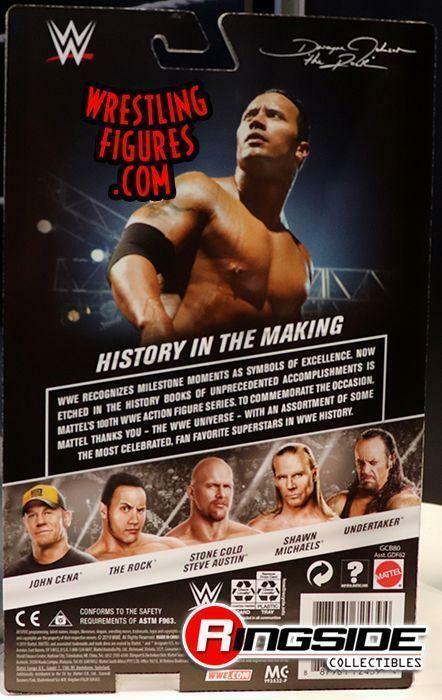 We’ll have posters of this in limited quantities each Axxess session available at the Mattel booth. 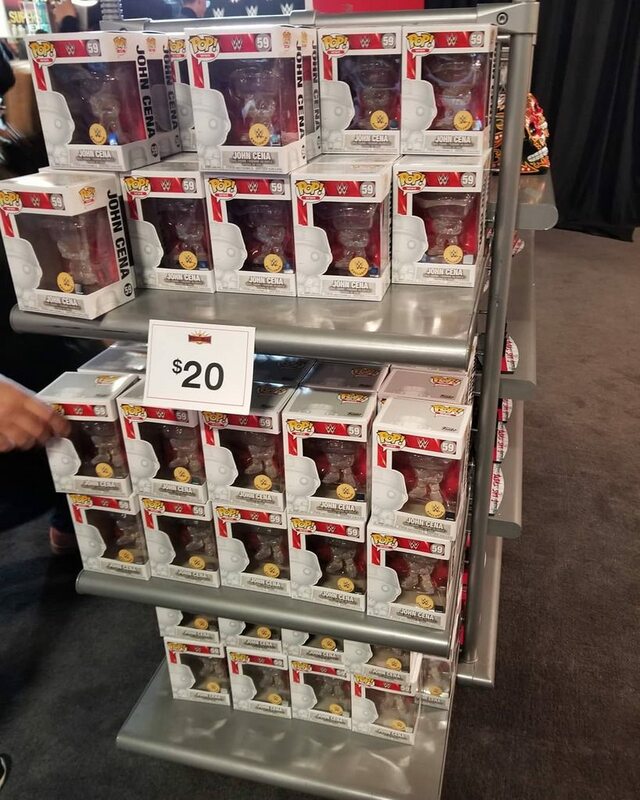 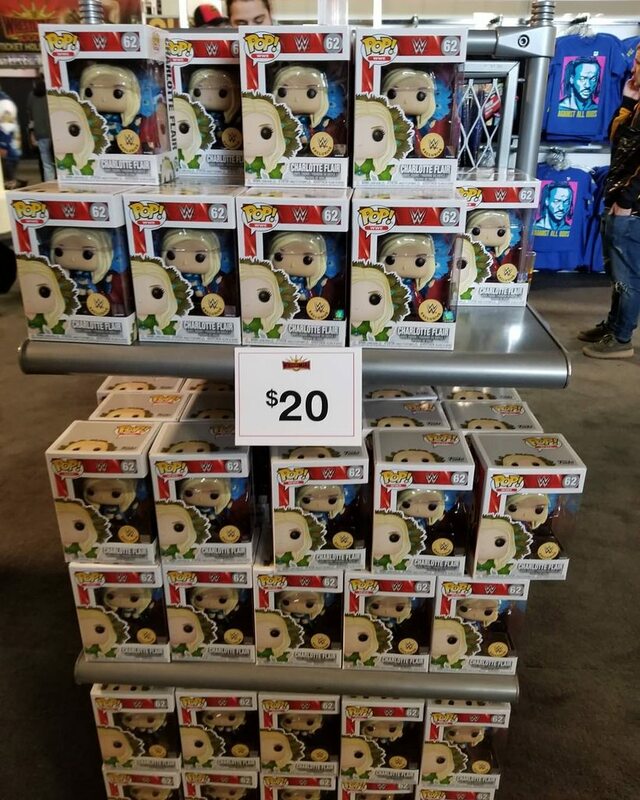 Come by to grab one and check out all the new reveals!!" 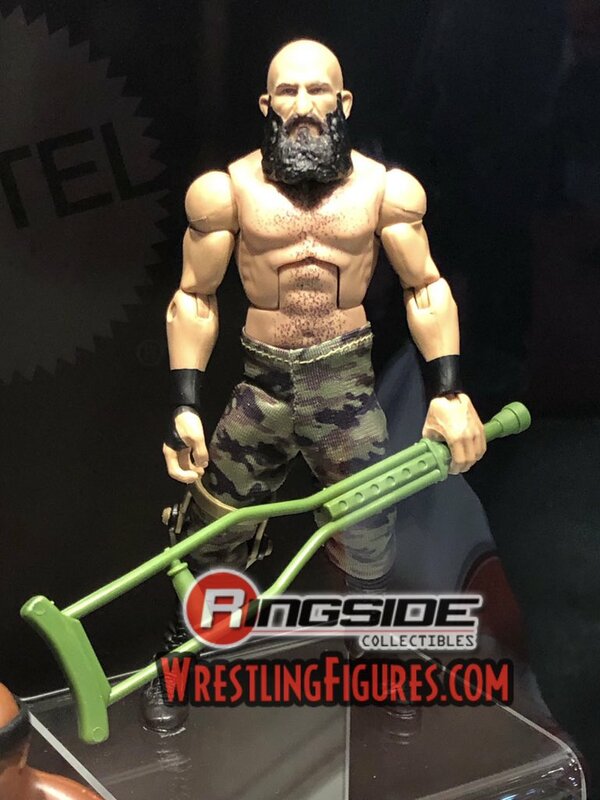 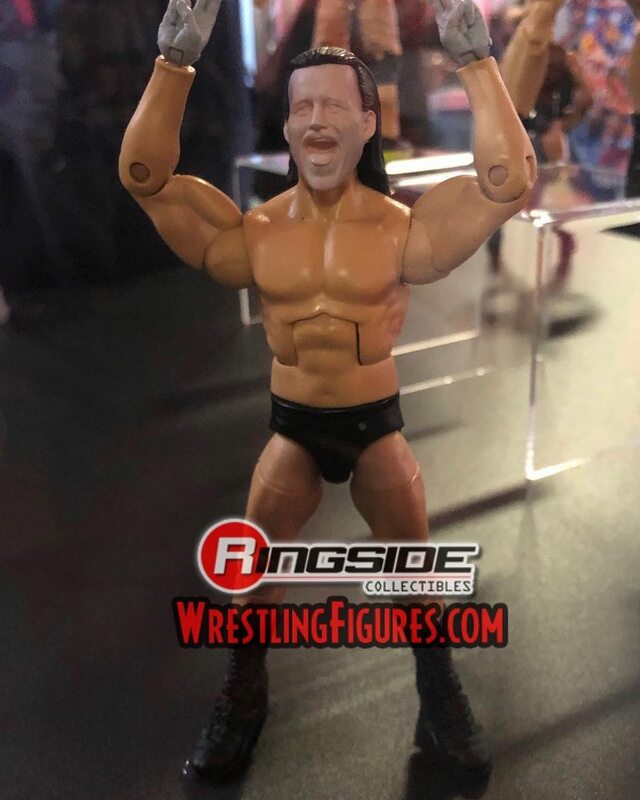 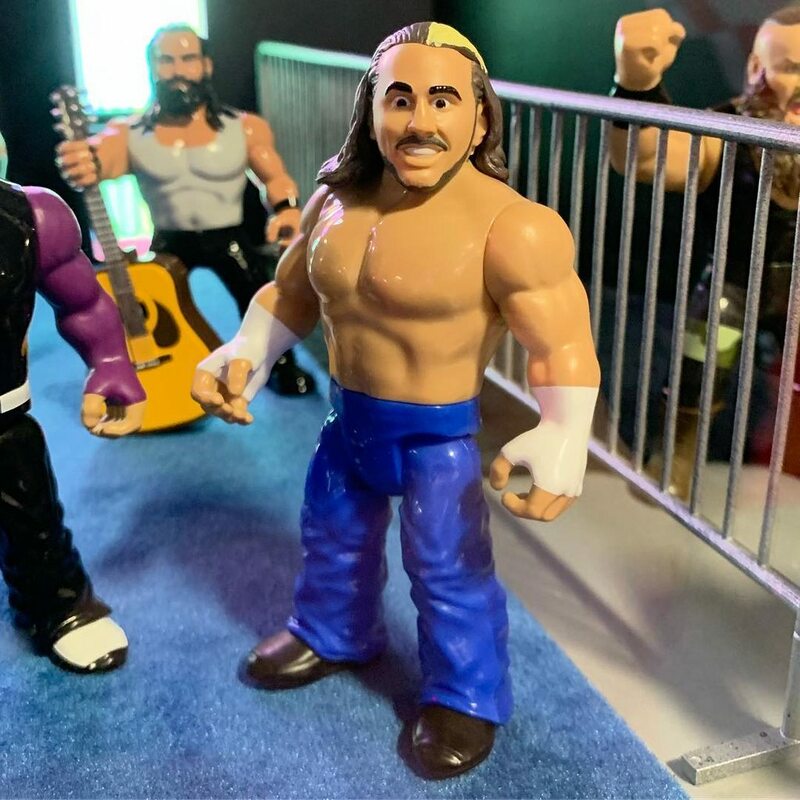 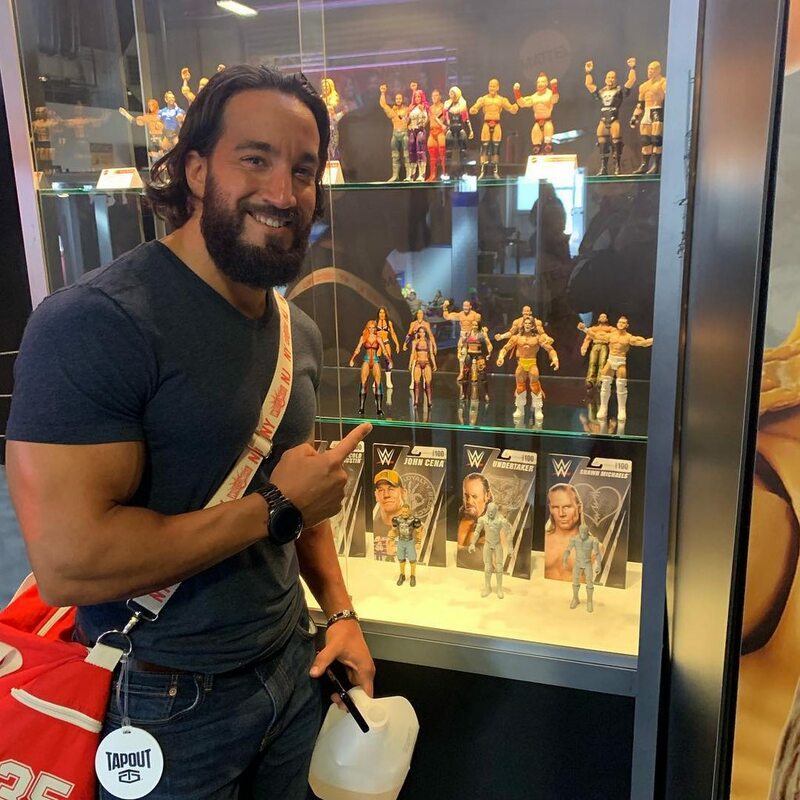 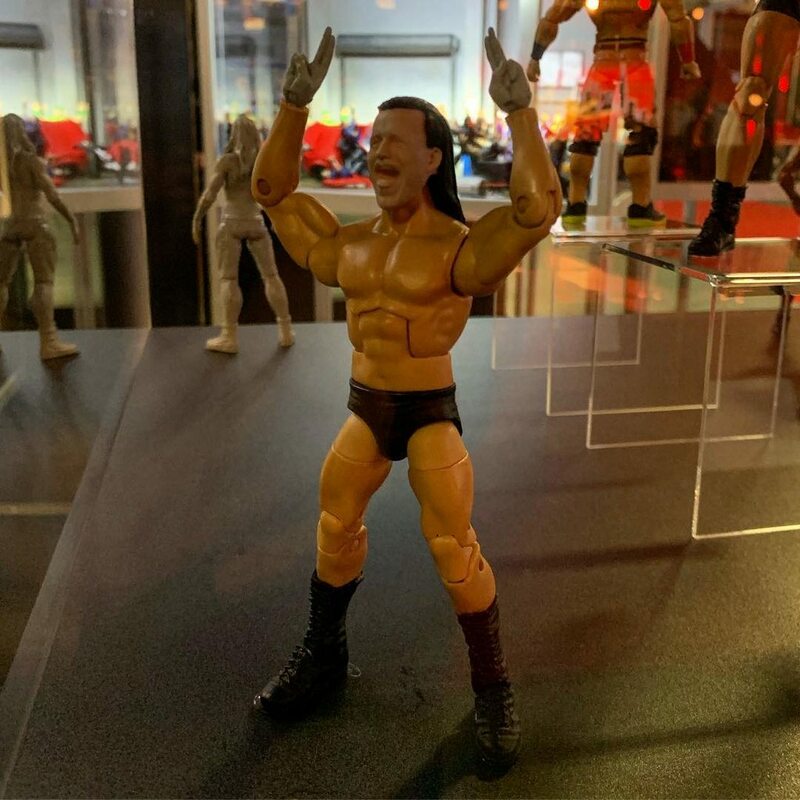 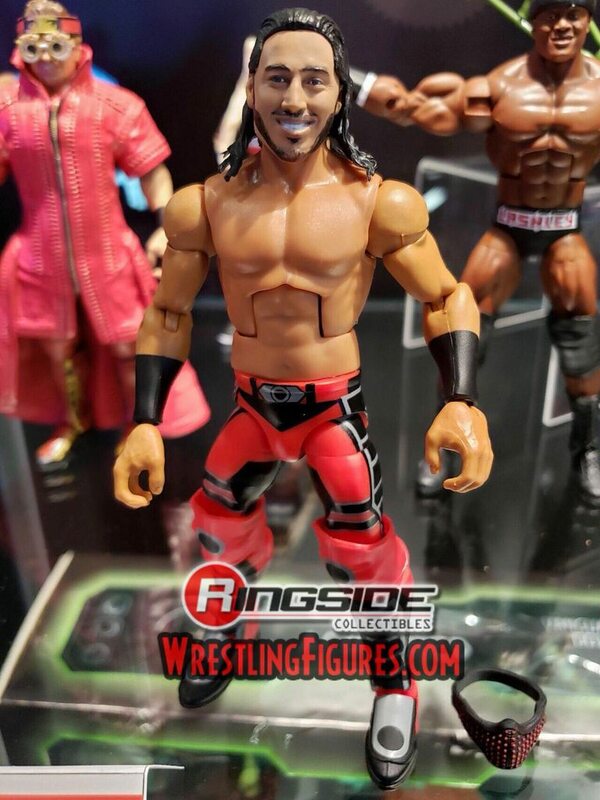 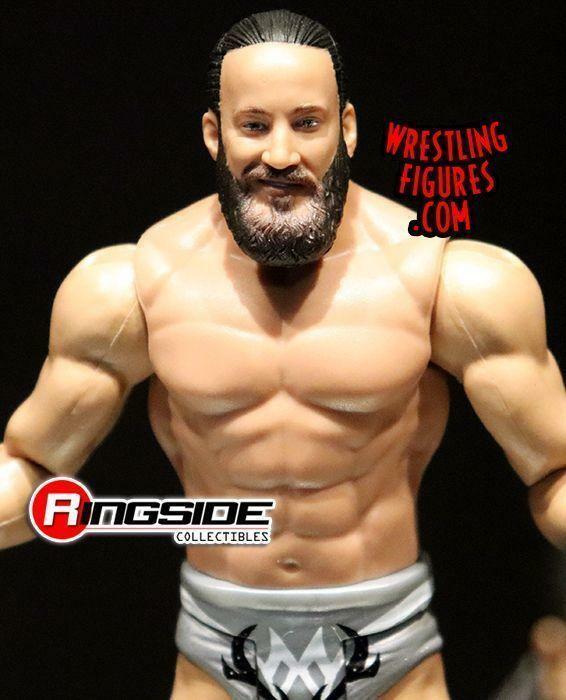 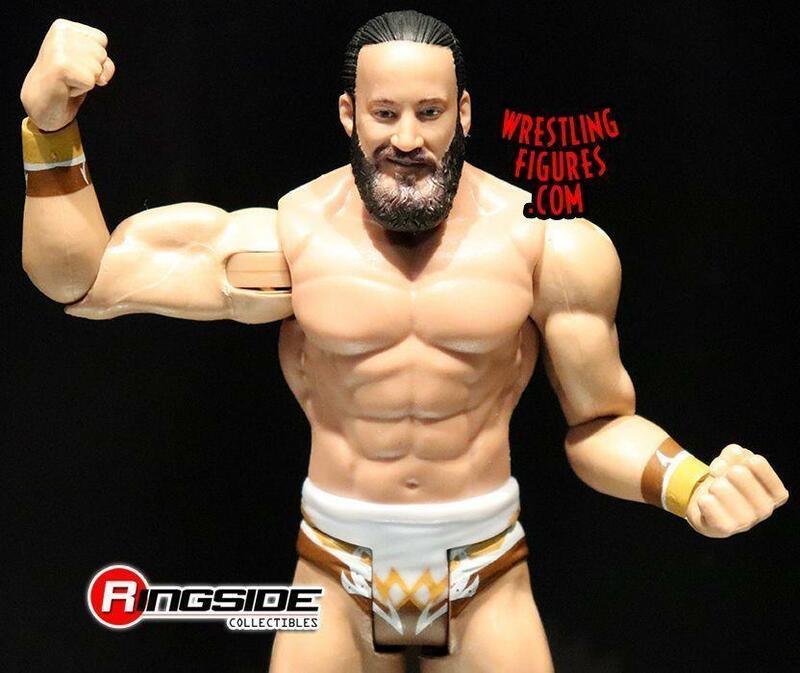 yesreallyrob: "@tonynese drops by the @mattel booth to check out his first (and second) wwe action figure, dropping with basic wave 98. 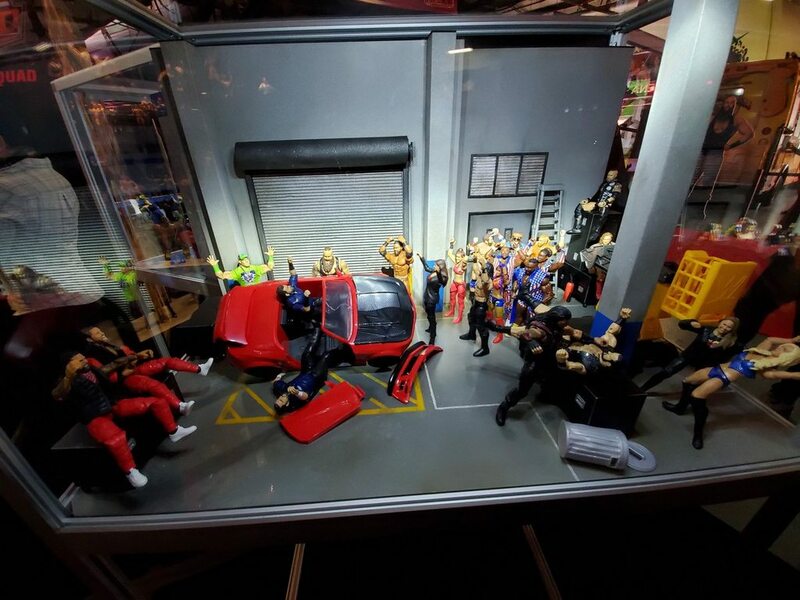 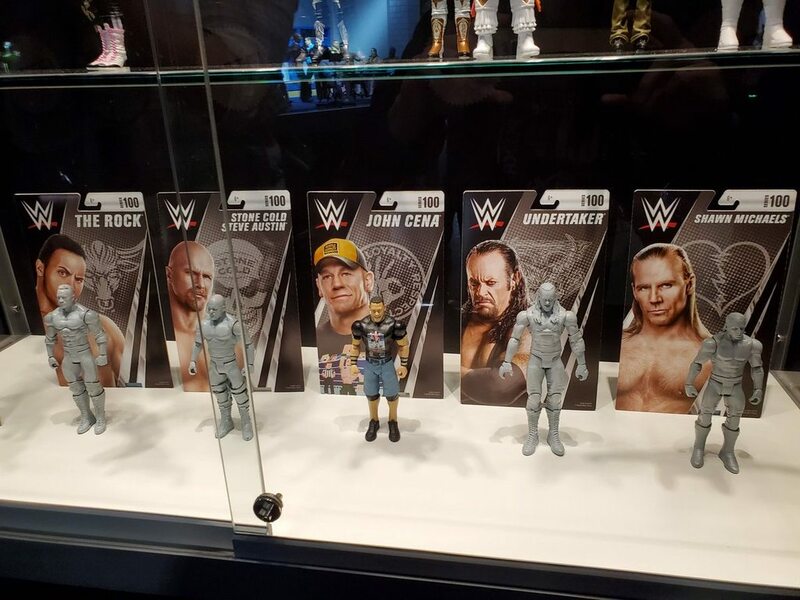 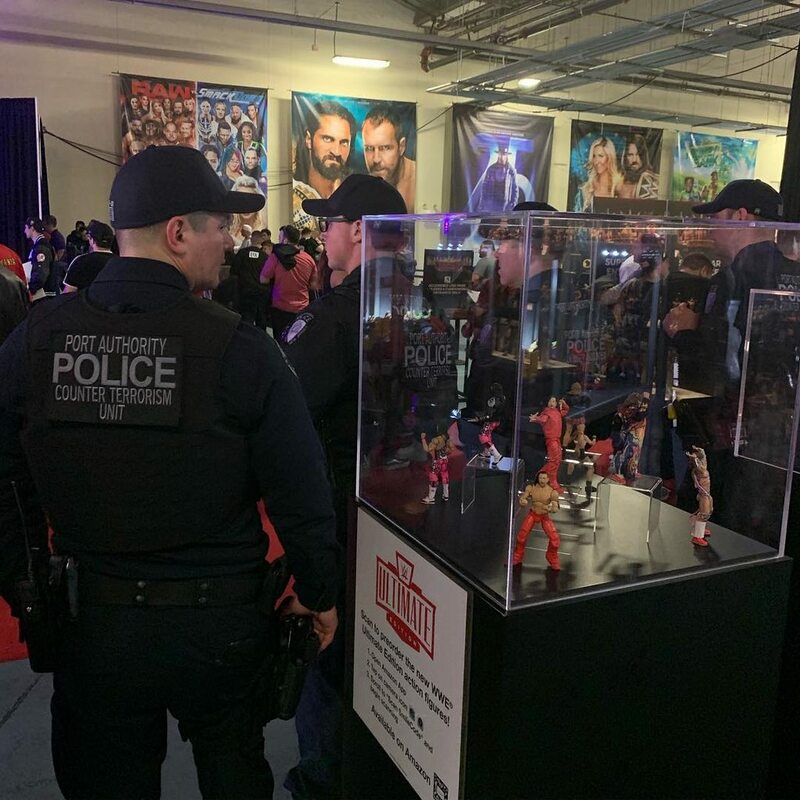 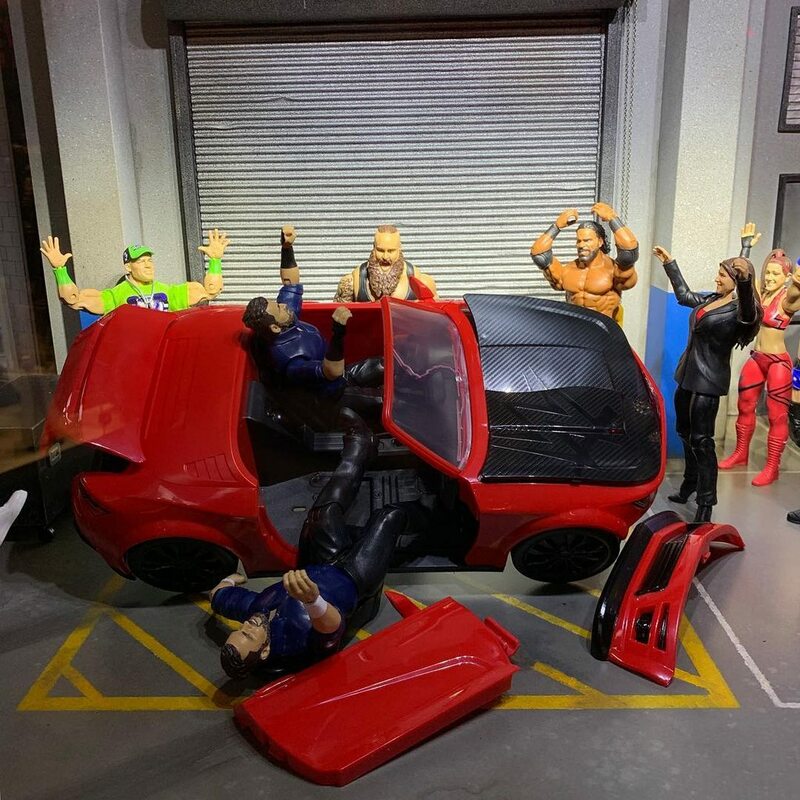 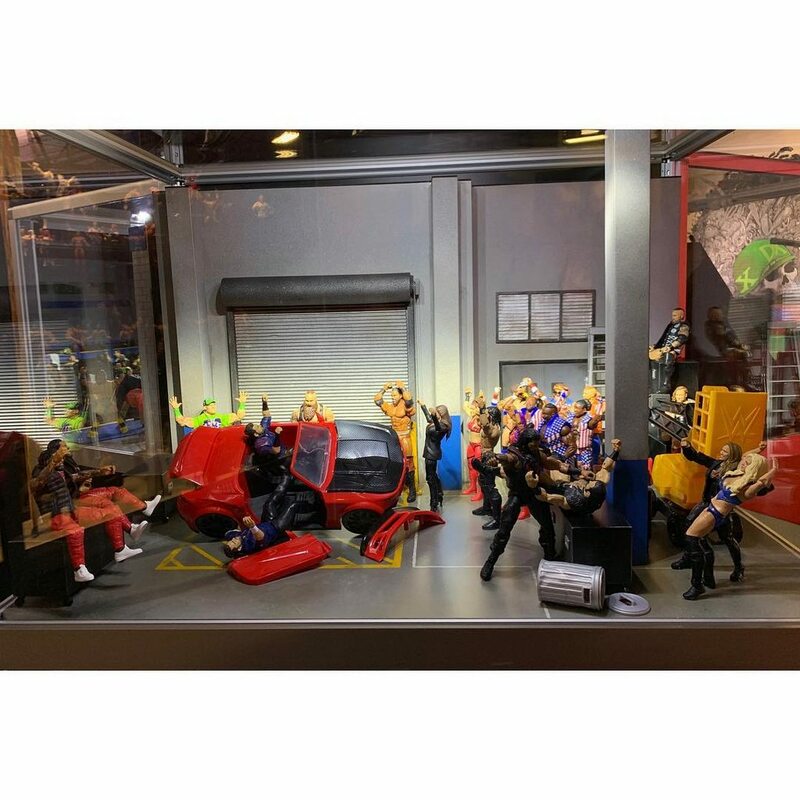 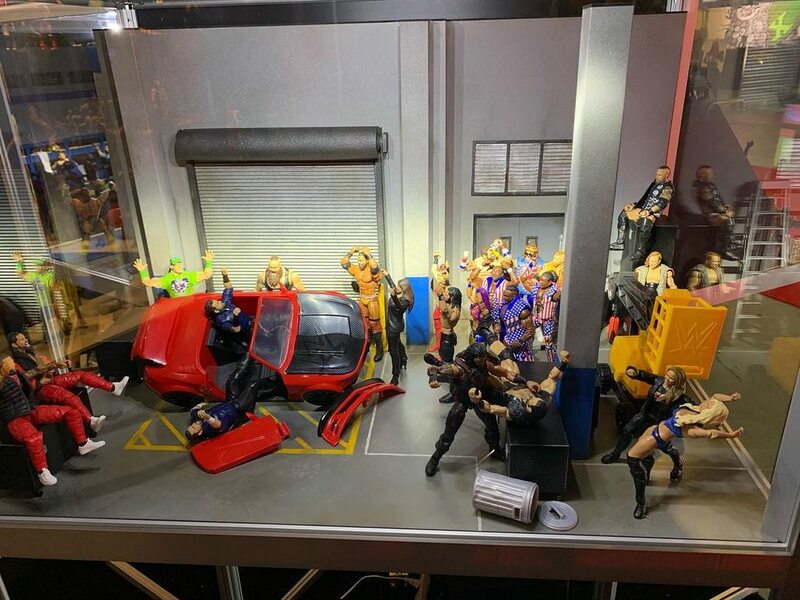 #WWEEliteSquad"
yesreallyrob: "Port Authority Police stand guard over the Ultimate figures. 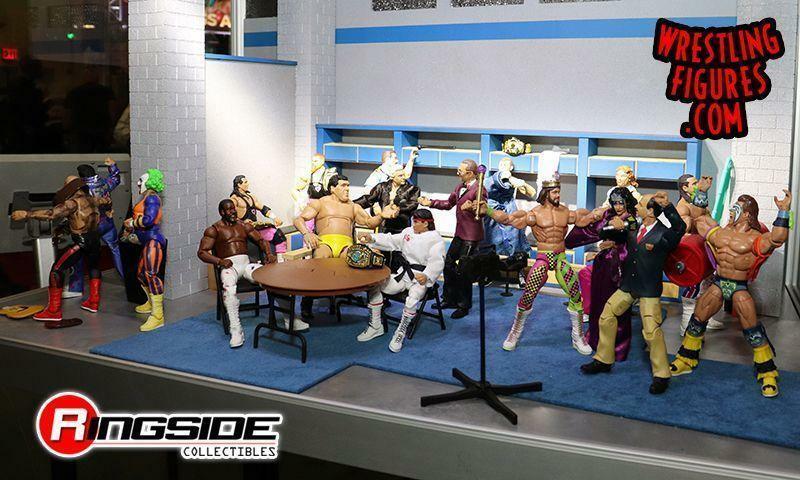 That's how awesome they are!" 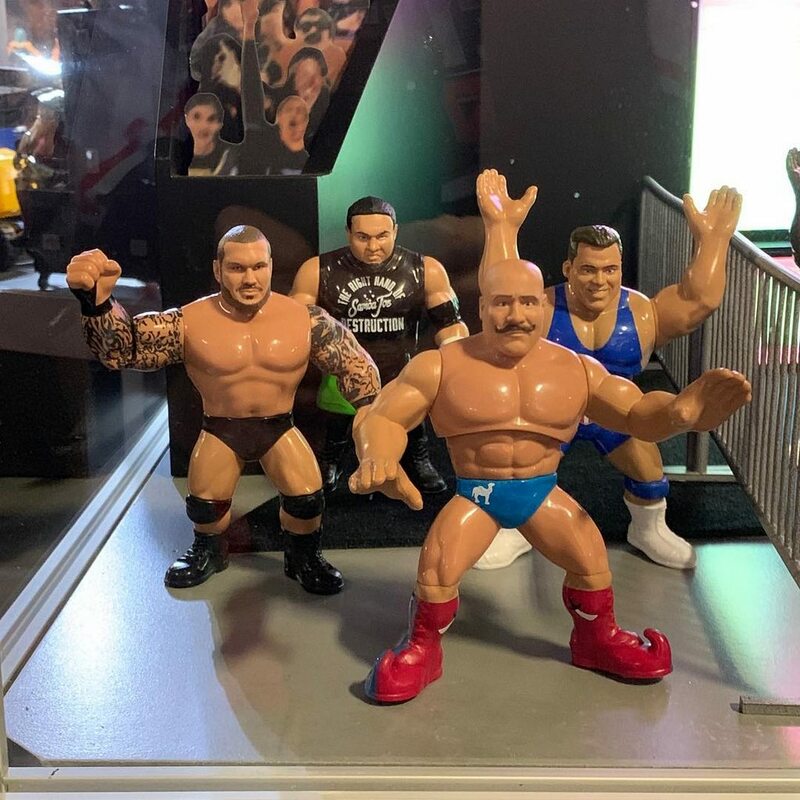 billmiekina: "We made a slight change to one of the WWE Axxess displays this morning. 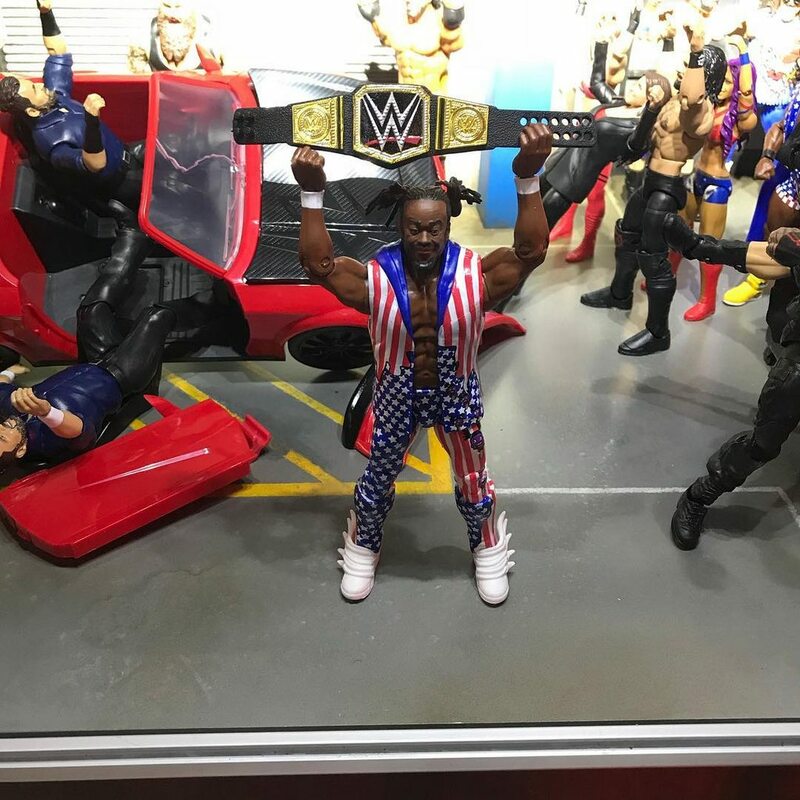 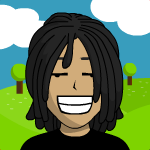 Congrats @thetruekofi !!!" 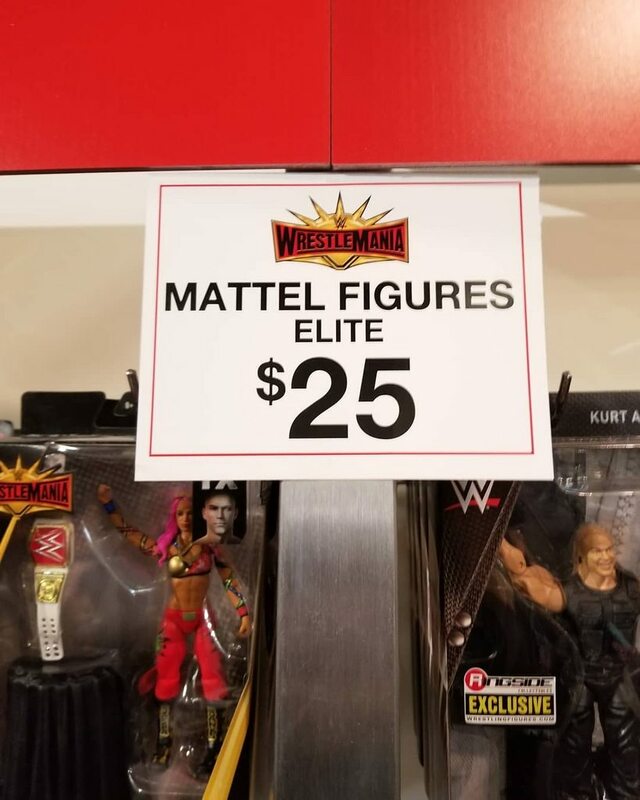 if only there was a board where you could talk about mattel's literal next move. 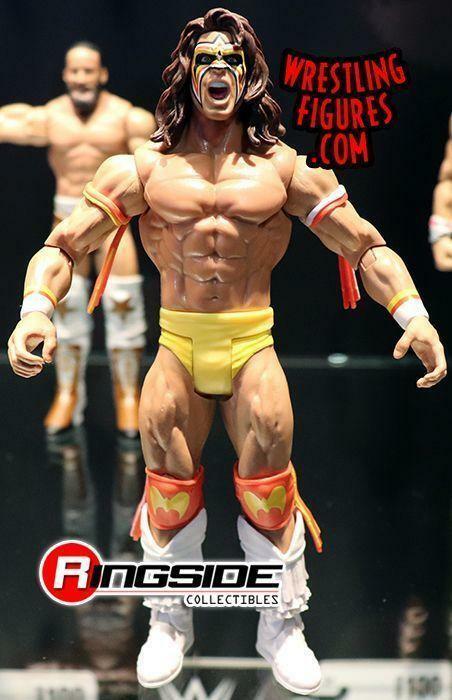 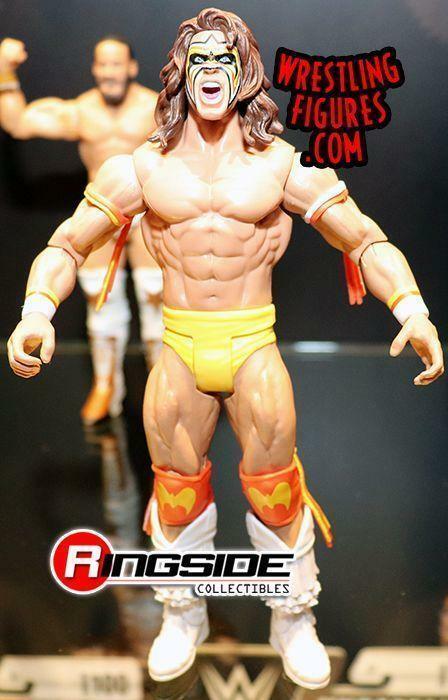 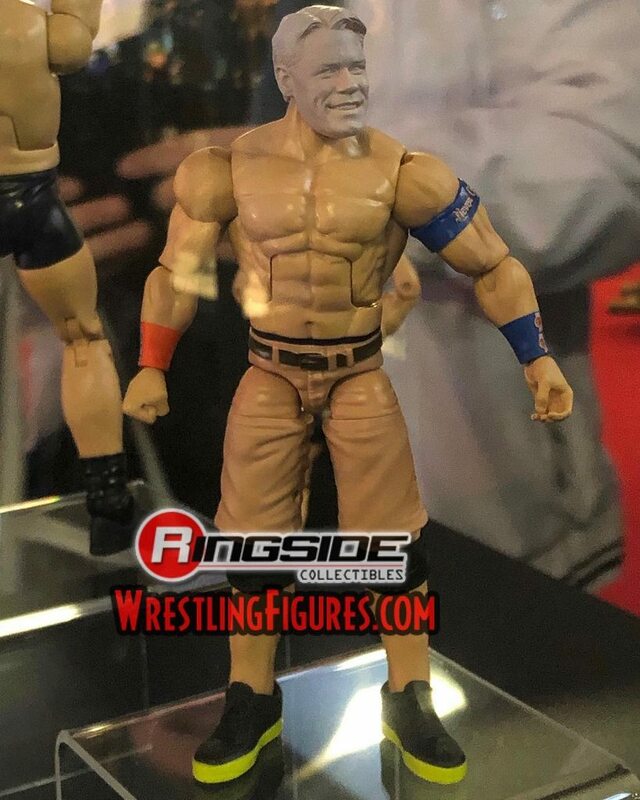 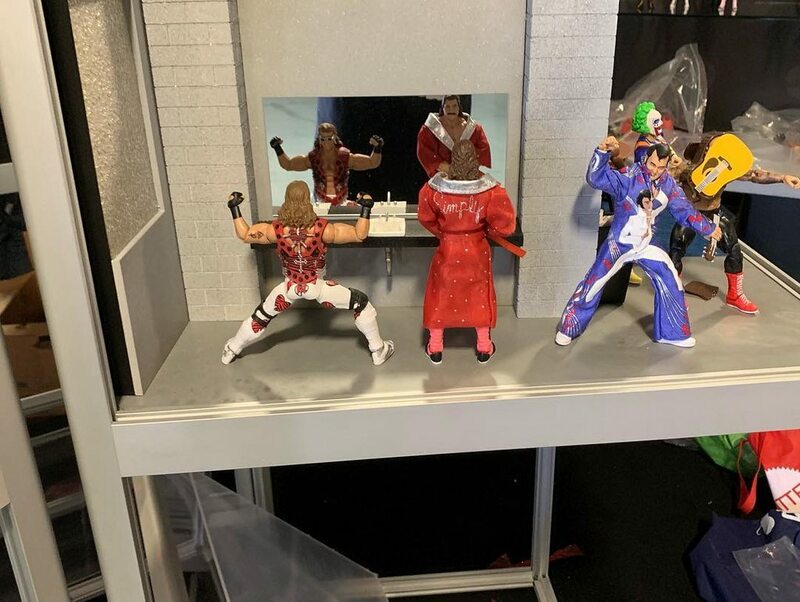 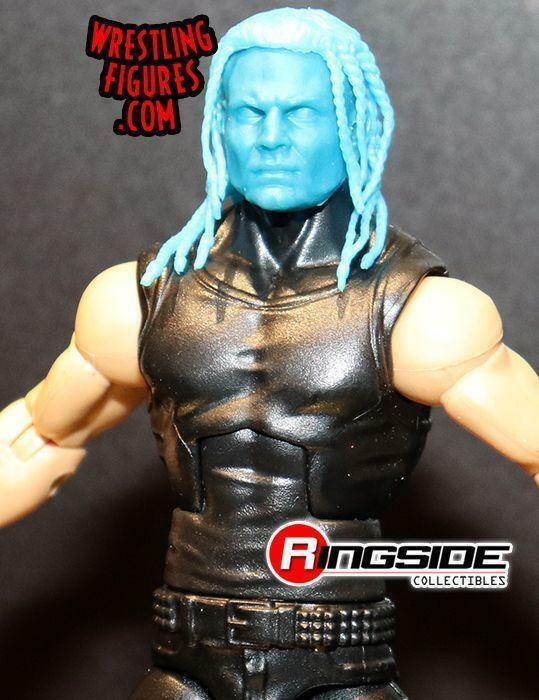 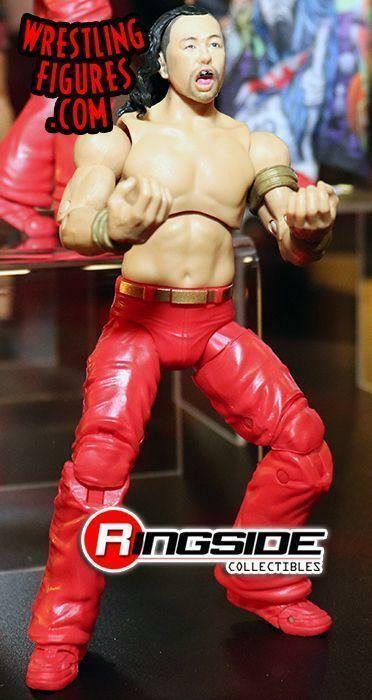 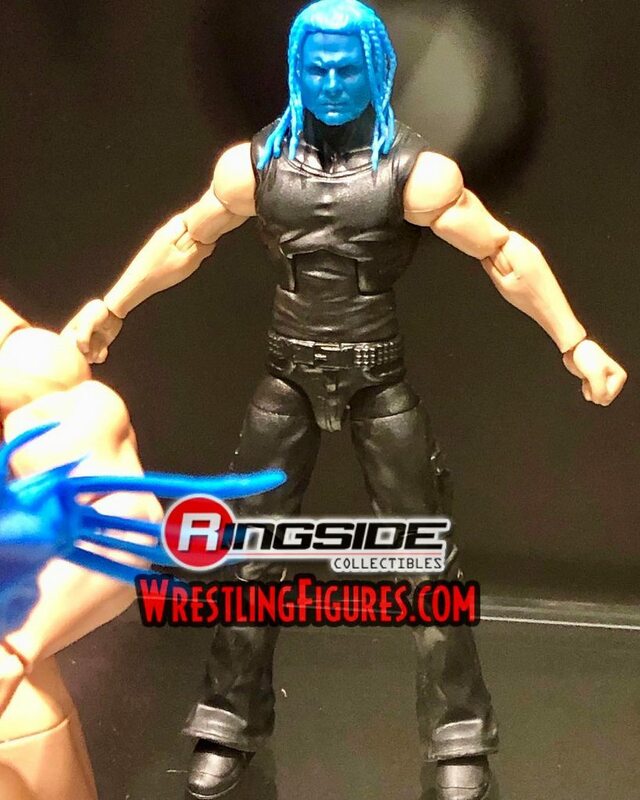 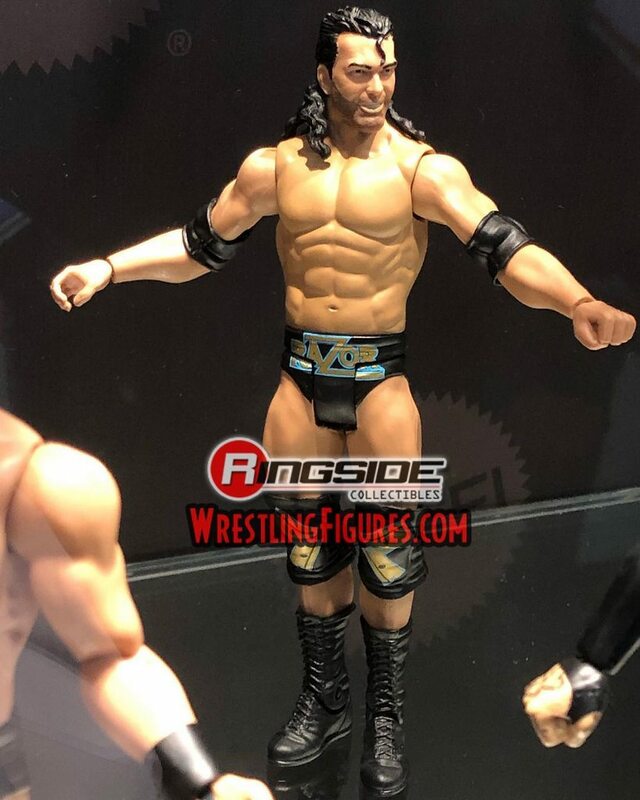 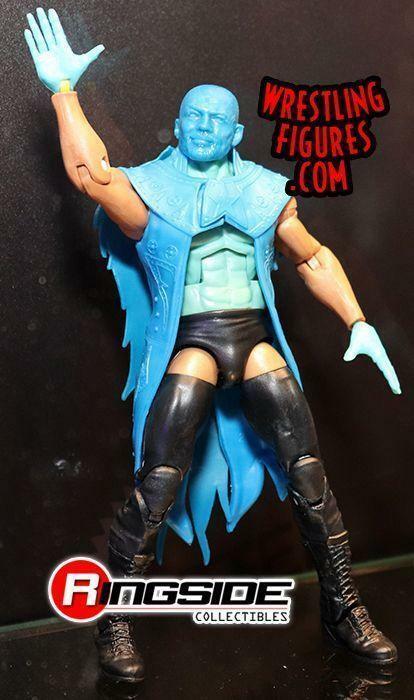 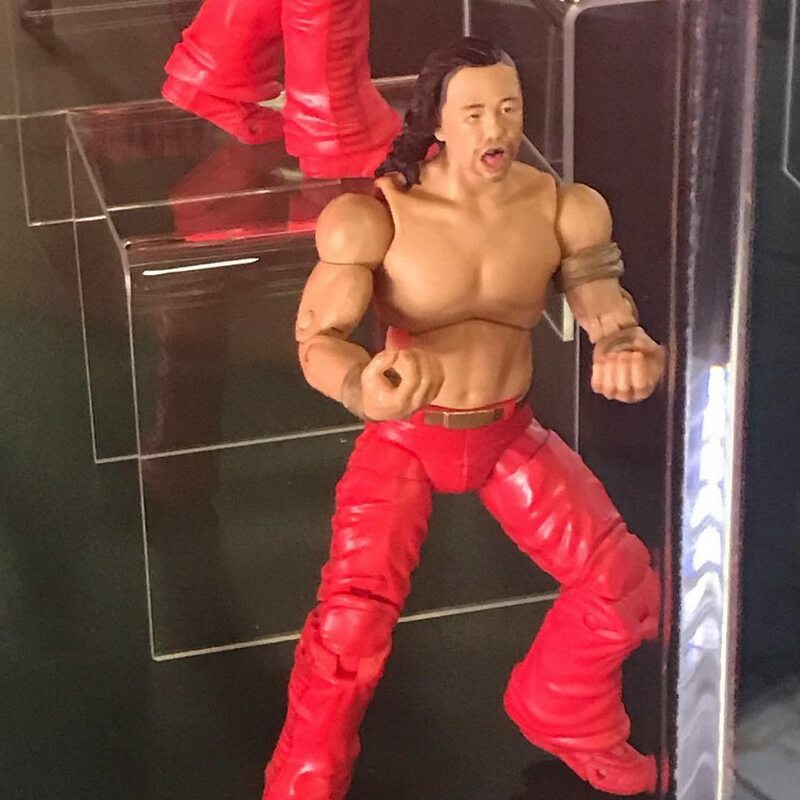 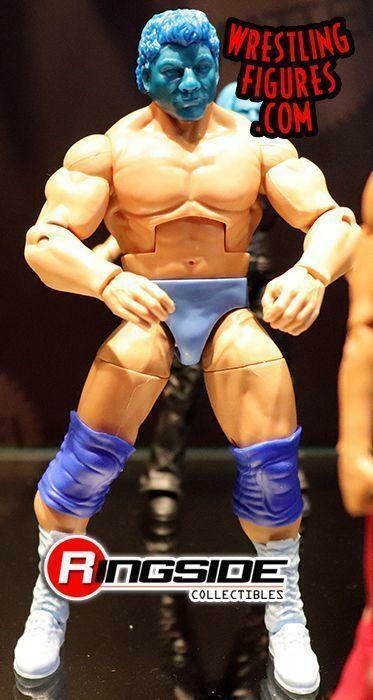 Most of us will be upset that there is no Greg Valentine, Hercules, Haku, Barbarian, then we will be aggravated when they announce more store chase figures that we cant find. 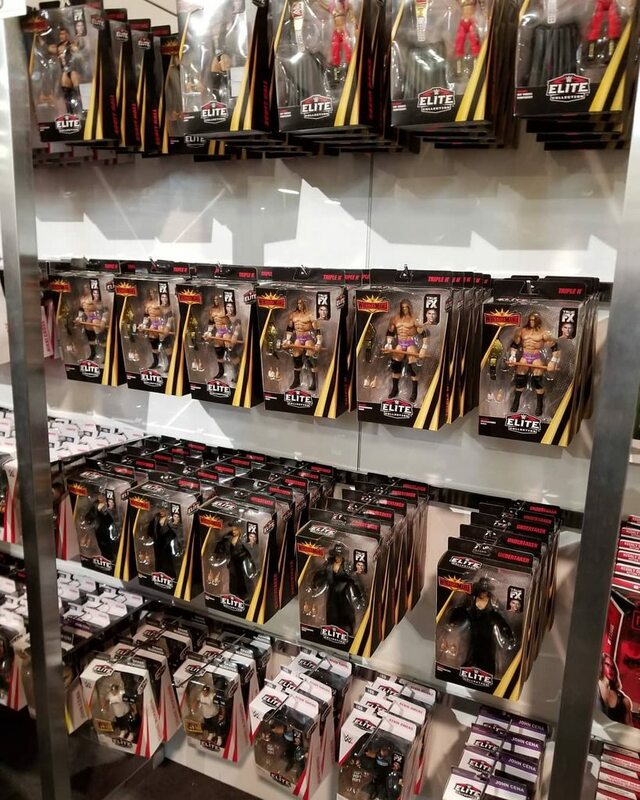 What's the deal with the distribution bull anyway? 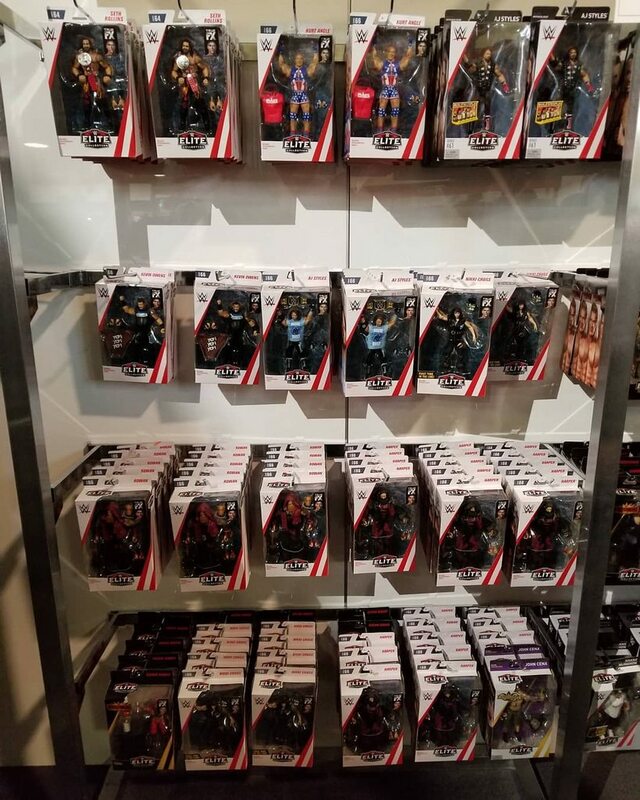 Everyone outside the U.S. getting worked? 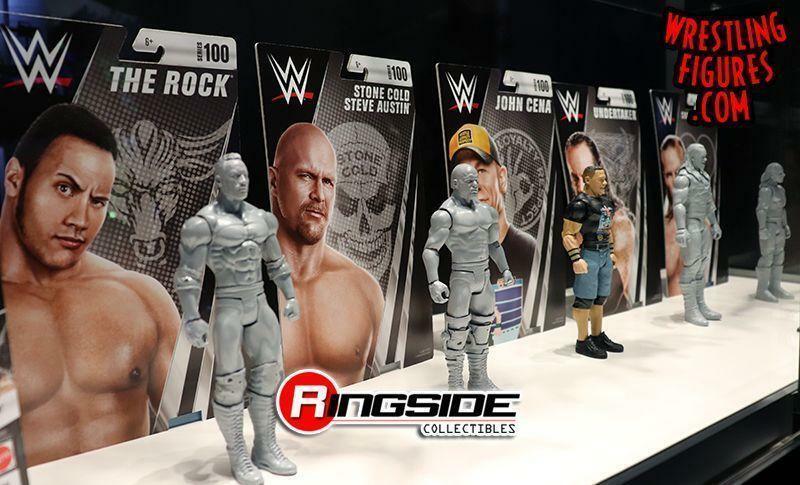 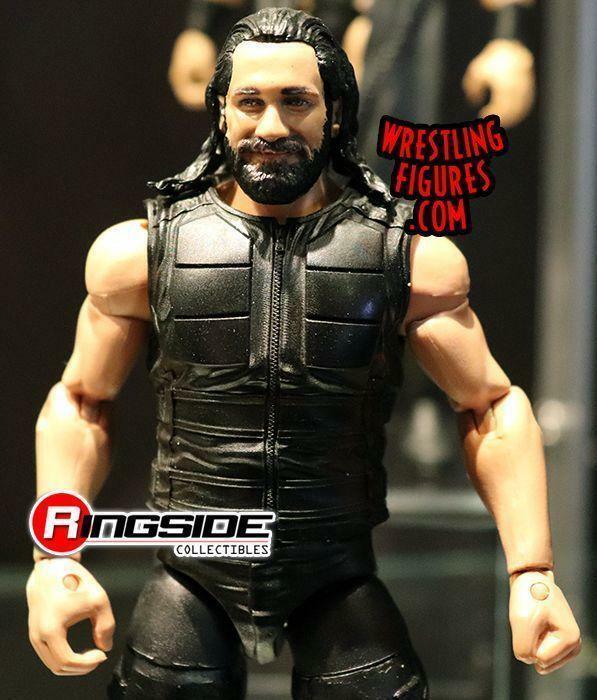 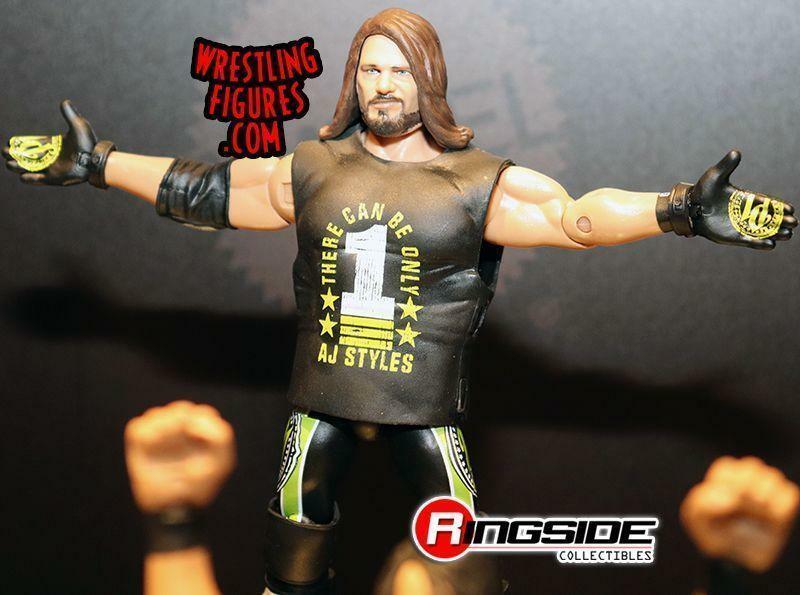 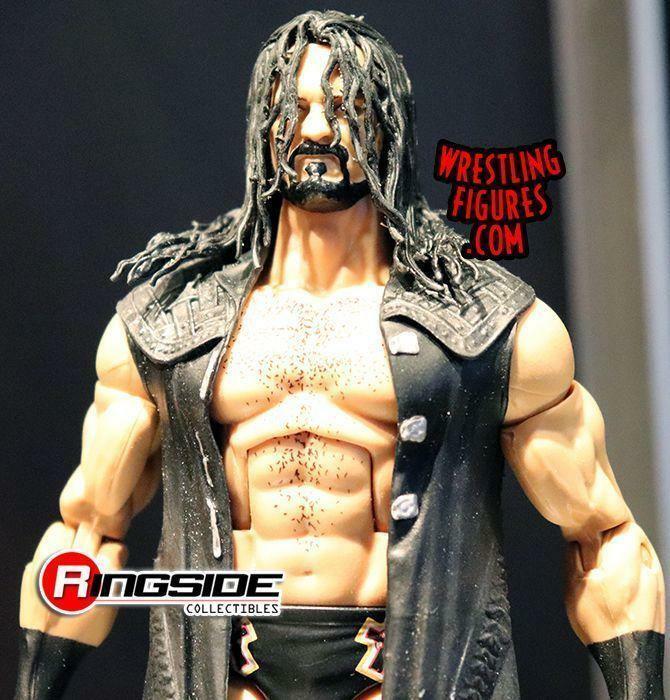 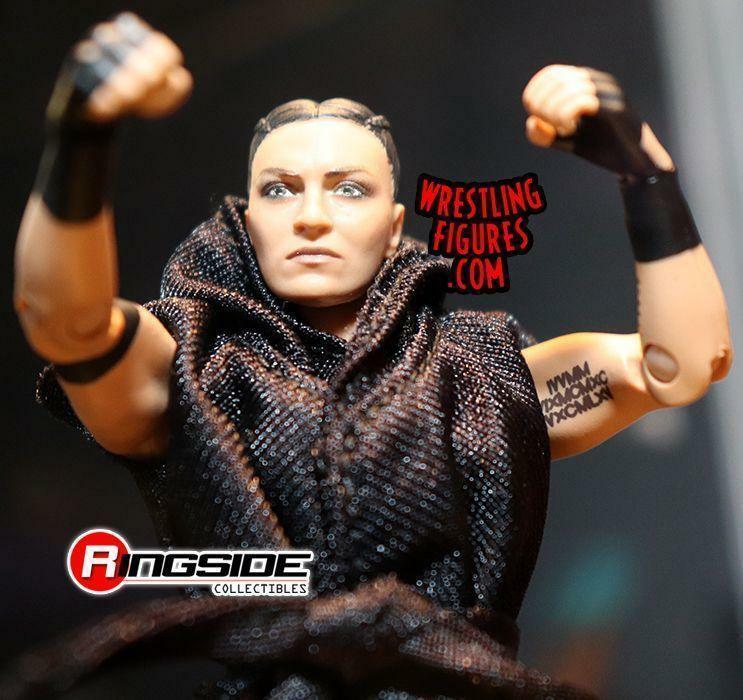 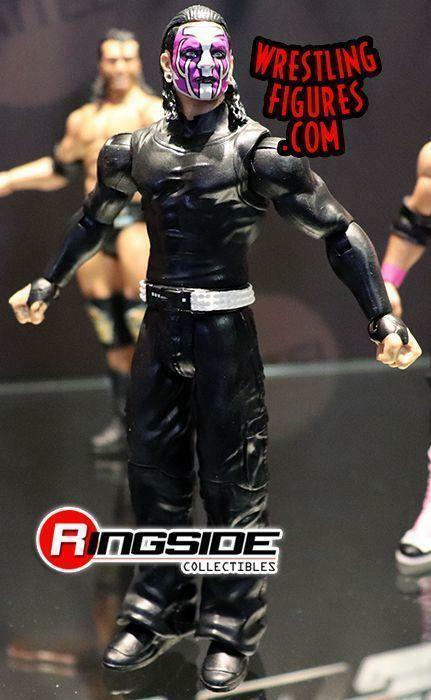 Announcing all WWE figures will be released in exclusive form to please retailers? 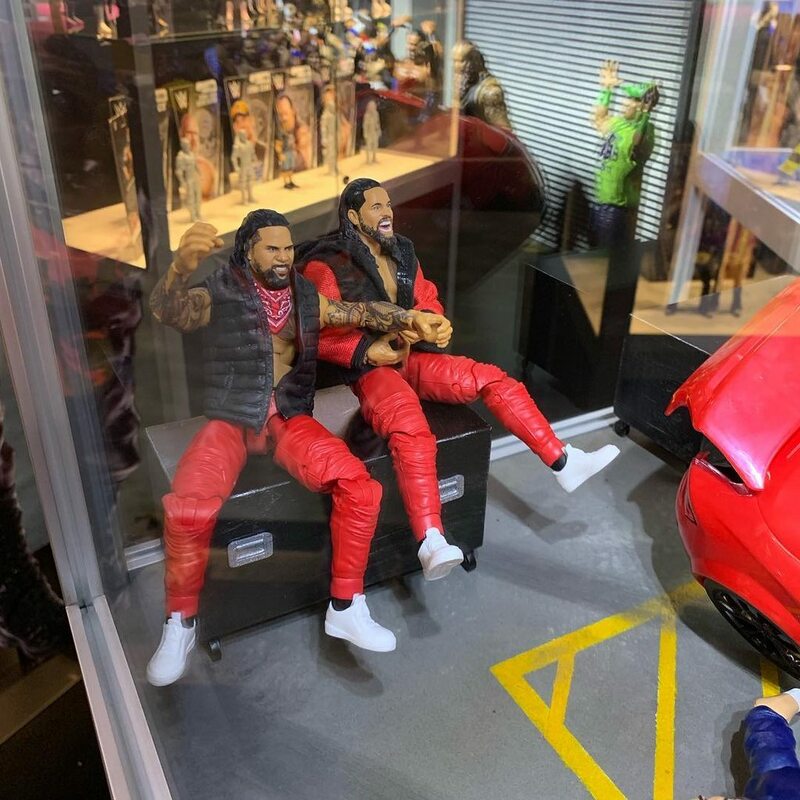 Announcing anyone other than licensed dealers caught selling Mattel figures will now be prosecuted to the fullest extent of the law? 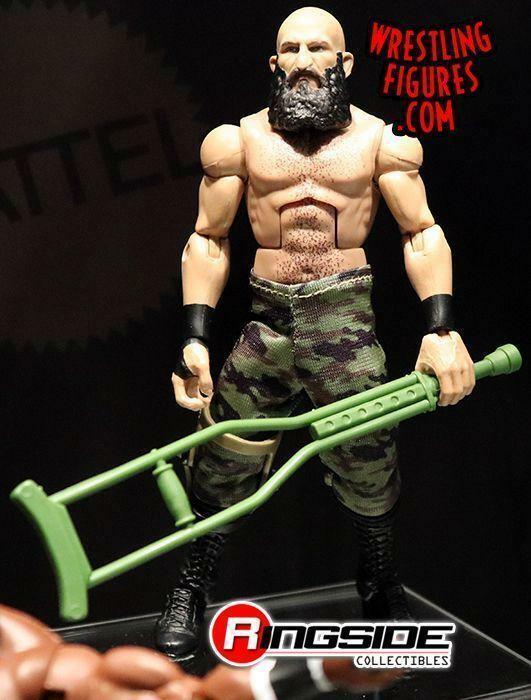 Basics will no longer have elbow and knee articulation to lower costs? 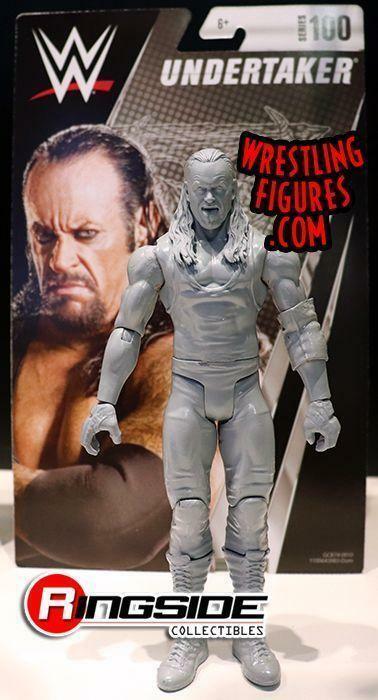 Figures will for now on only be painted in grayscale? 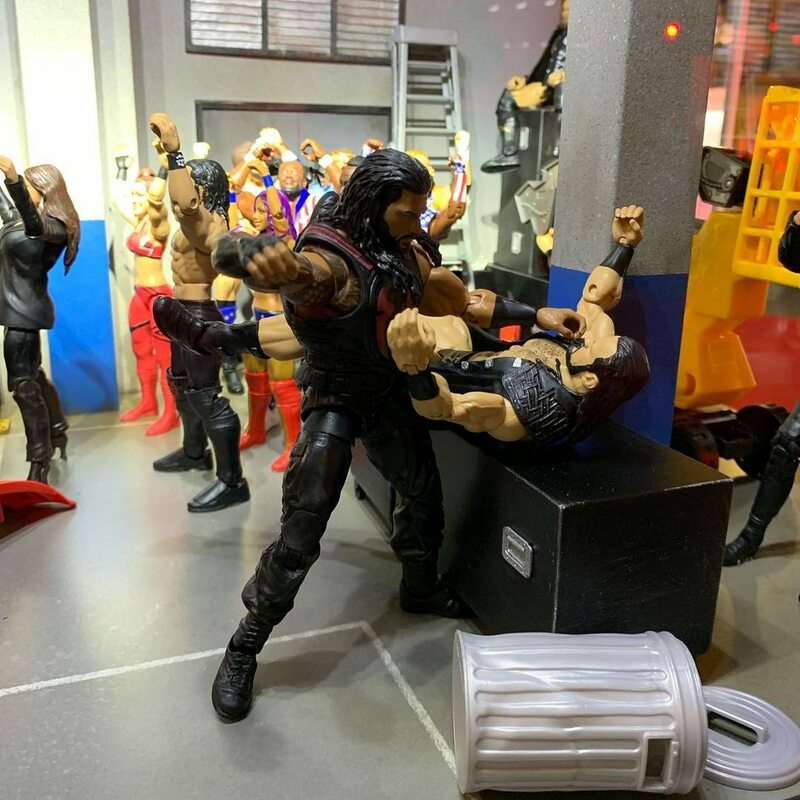 Black and red are their most common colors! 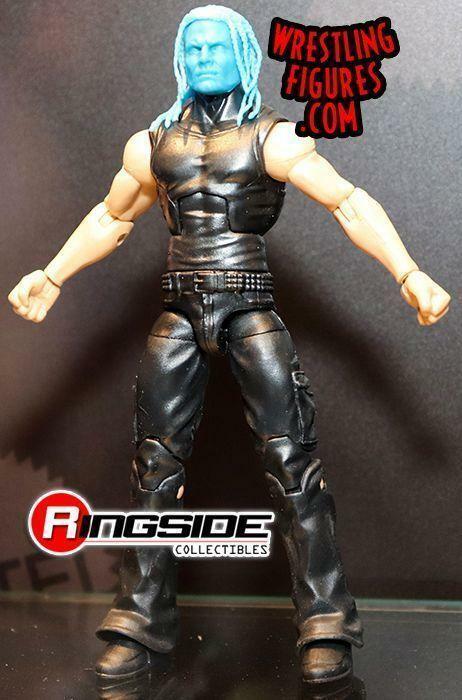 I just want my '98 Crow Sting with his hair covering his ears, wider/thicker singlet mold (HOC Eddie torso), taller accurate boots, LOD Hawk arms, AJ wrist cuffs, weird should straps he had on for a brief time and a nonwooden bat. 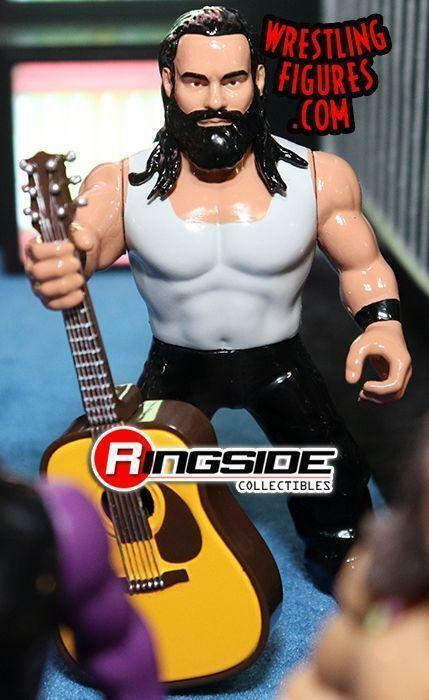 That's all I want and I'll stop complaining about crow Stings... 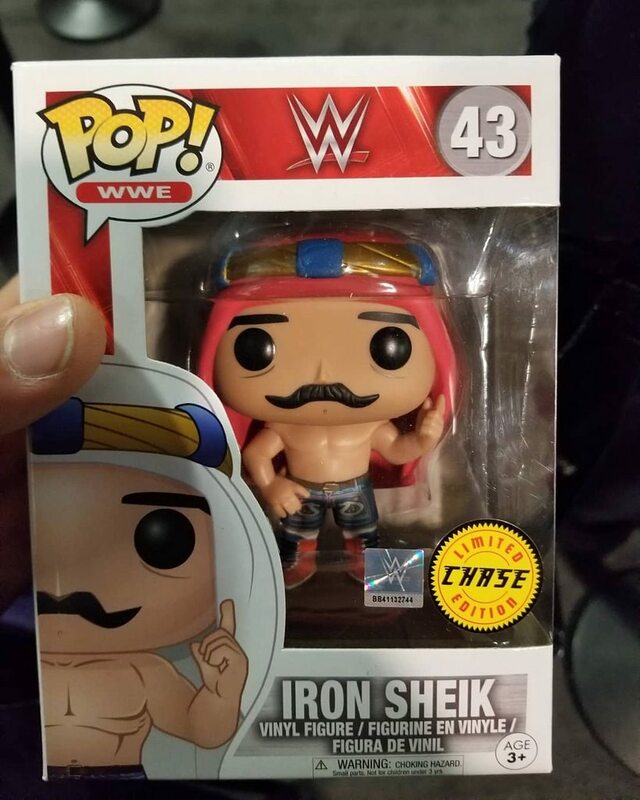 It's my holy grail. 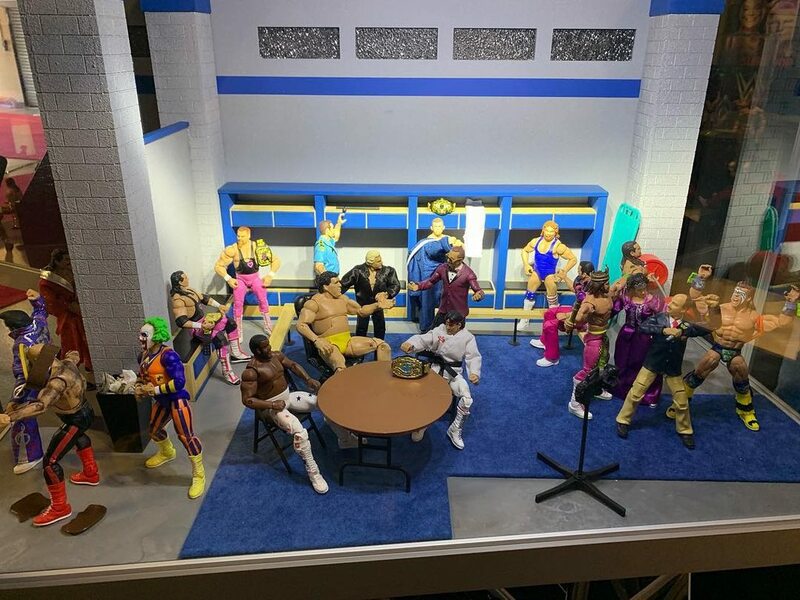 I'd like to see what they show at Axxess first. 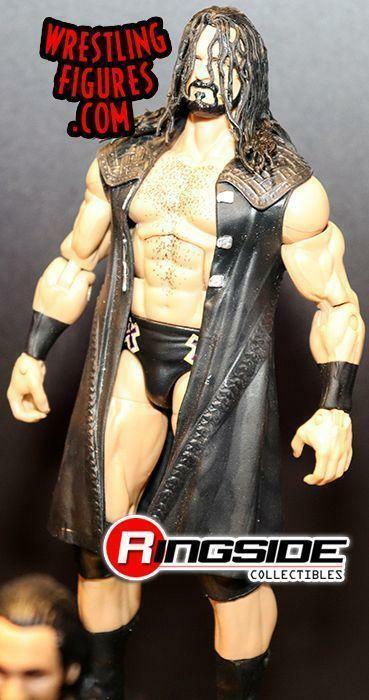 They should have just done his Summerslam 2006 attire with the title, i turned my RSC exclusive into that attire and i like it 1000 times better. 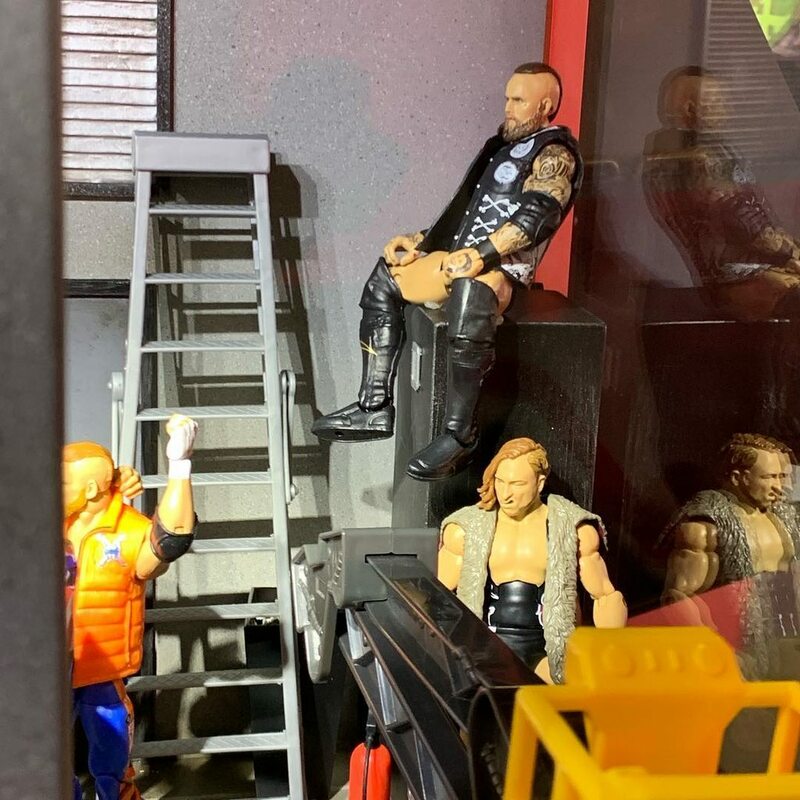 There's an Instagram user called pro_wrasslin who's made basically all of Edge's 06-07 attires and they look amazing. 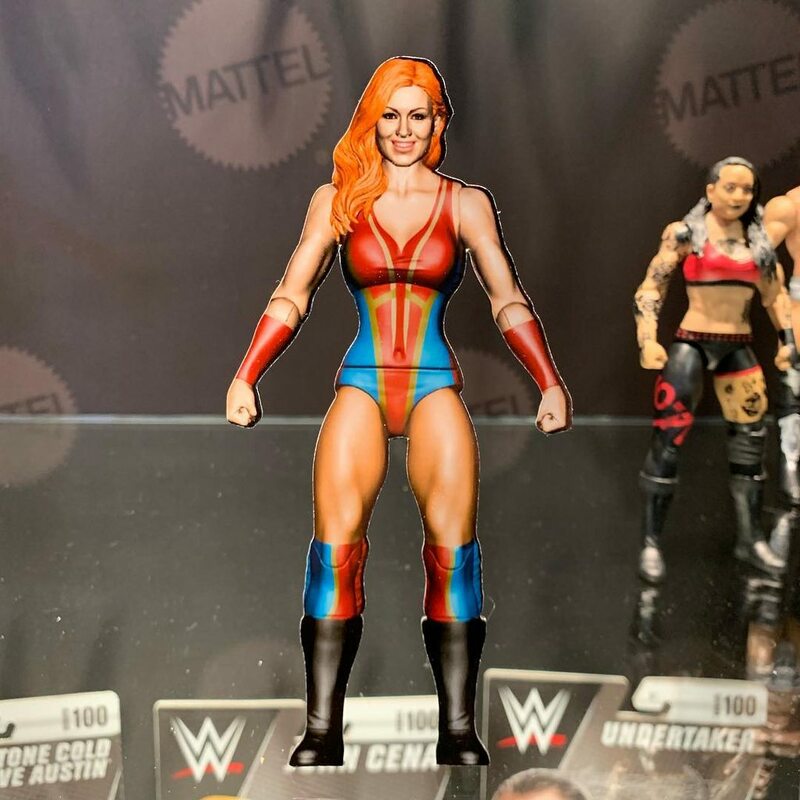 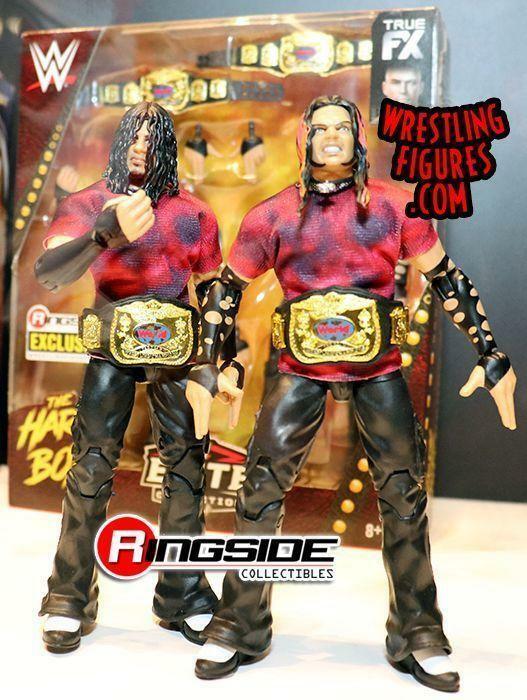 It's not like they're hard attires either, they're simple but would make for epic Elites, so i don't know why Mattel hasn't done them yet. 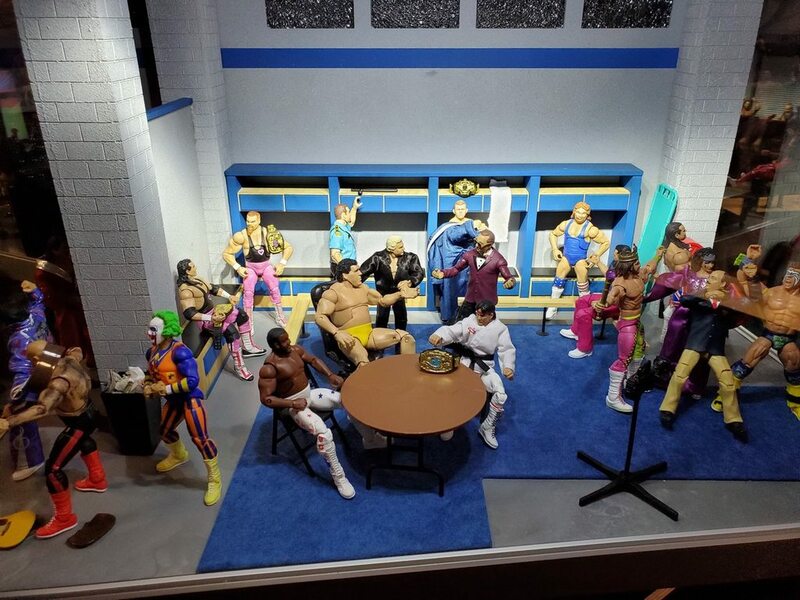 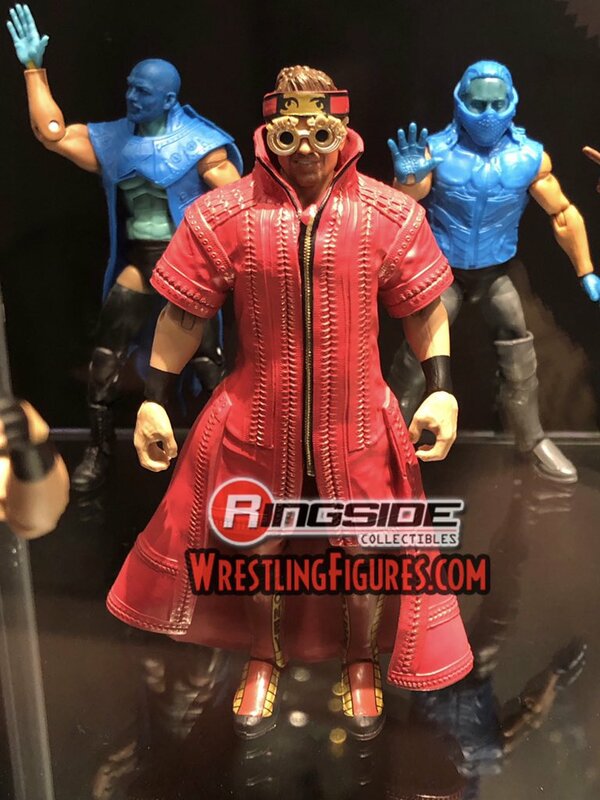 Mattel announces the launch of the search for 5 Golden Harley Races, so that every boy and girl in the world has an equal opportunity to procure the original King of the Ring. 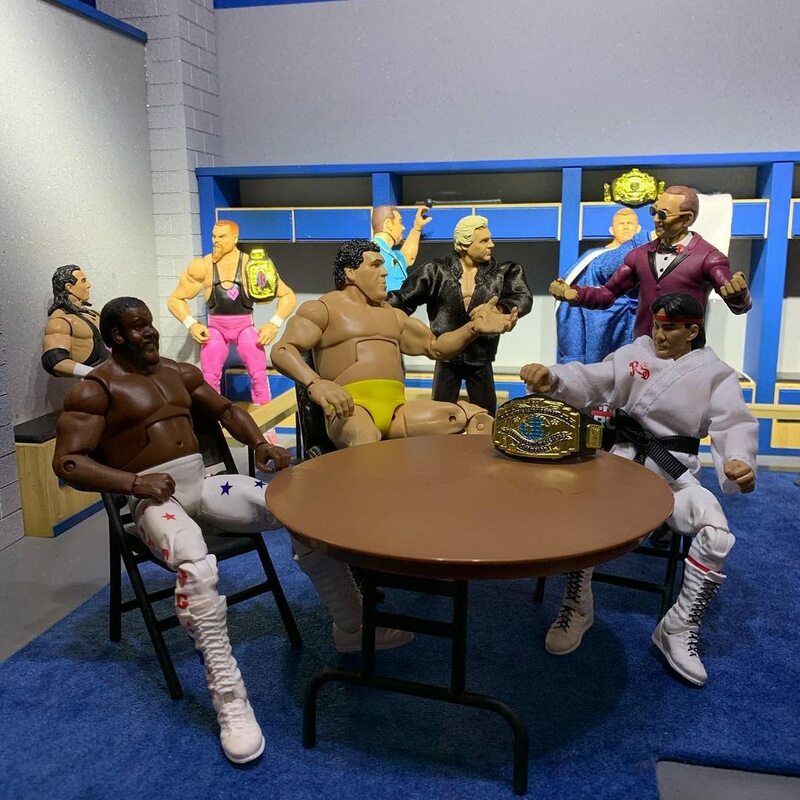 Speaking of Handsome, said five kids will tour the mystical WWE Mattel Factory in Indonesia, hosted by a dashing Bill Miekina in tails and top hat.